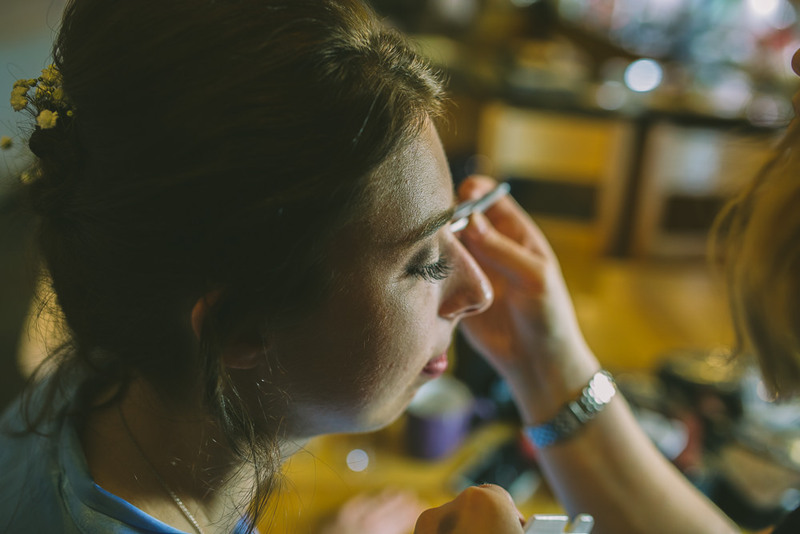 Love Island is over (and we’ve already got #TeamJani withdrawal, we’re loyal like that). 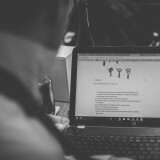 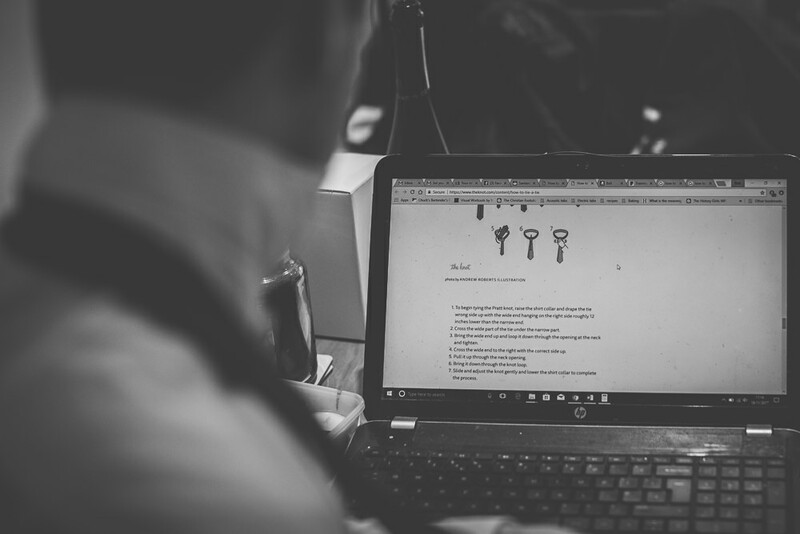 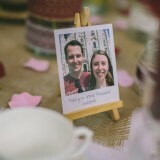 What’s a good wedding blogger to do? 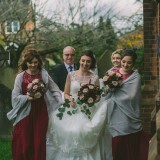 Bring on the winter weddings. 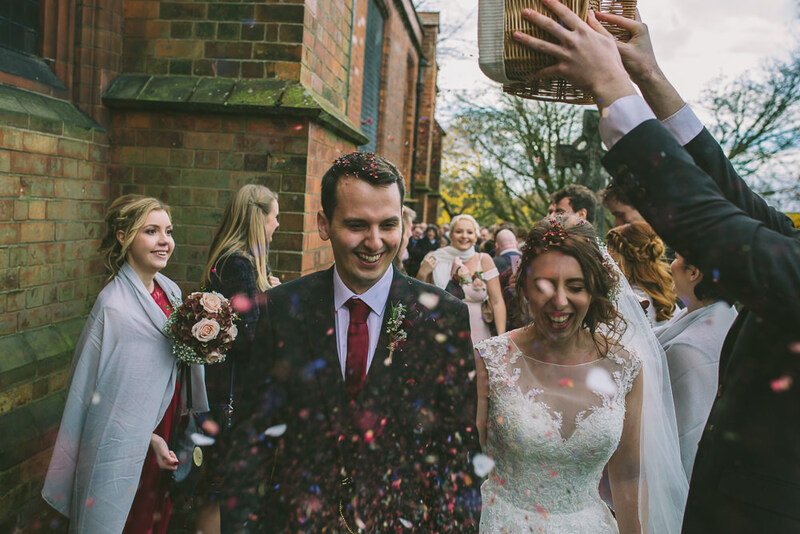 It’s hard to imagine winter ever existed as we roast our way through this incredible heatwave, but today’s real wedding is here to remind us how magical winter nuptials can be; with roaring open fires, candlelight and inviting colour schemes, just like Natalie and Paul’s celebrations. 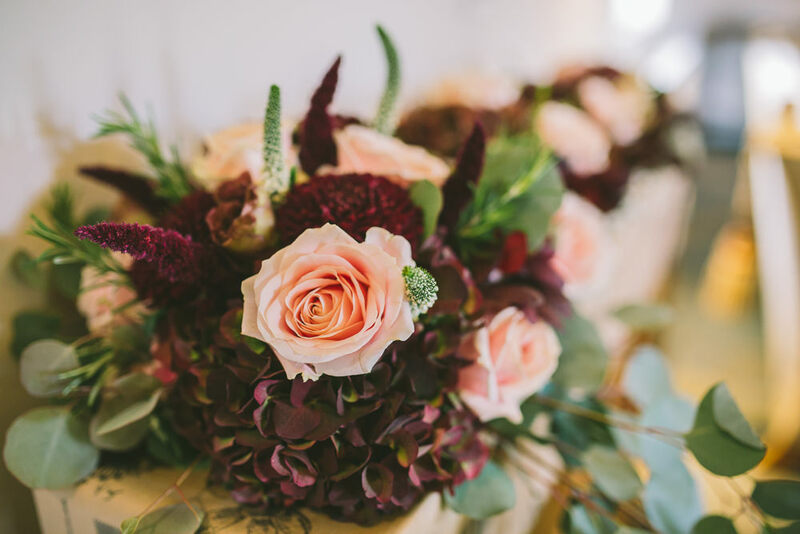 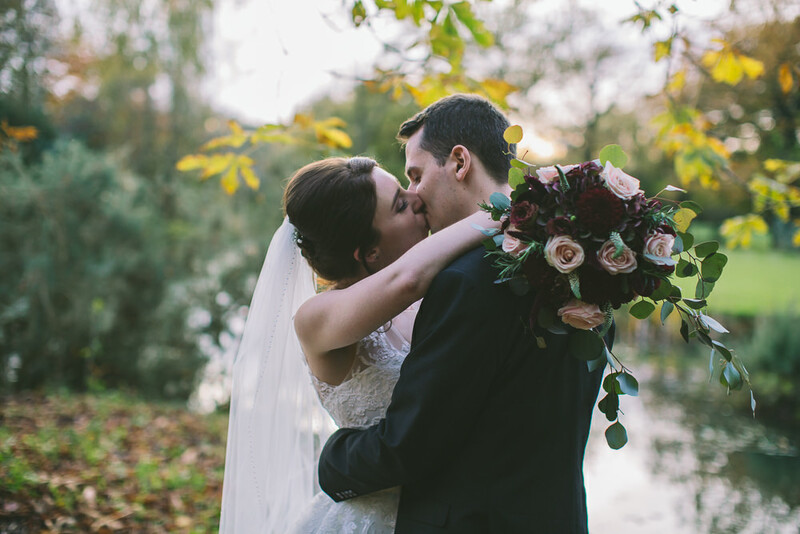 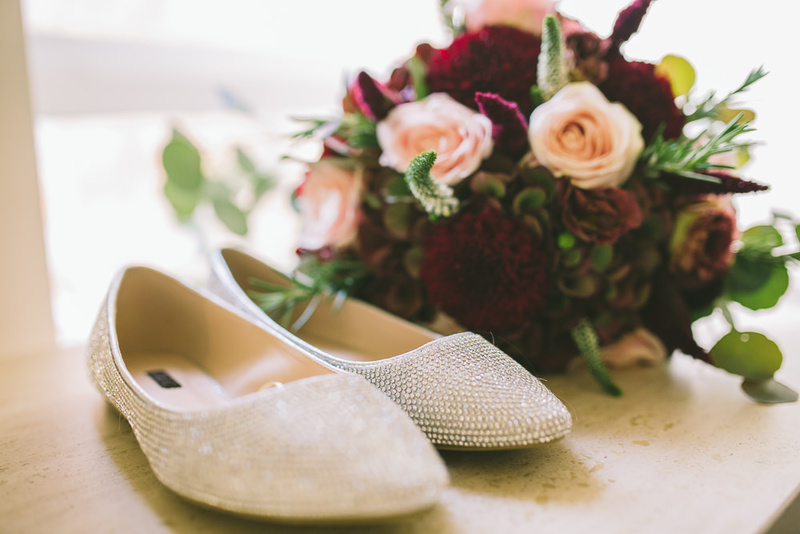 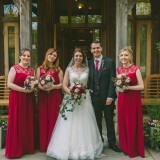 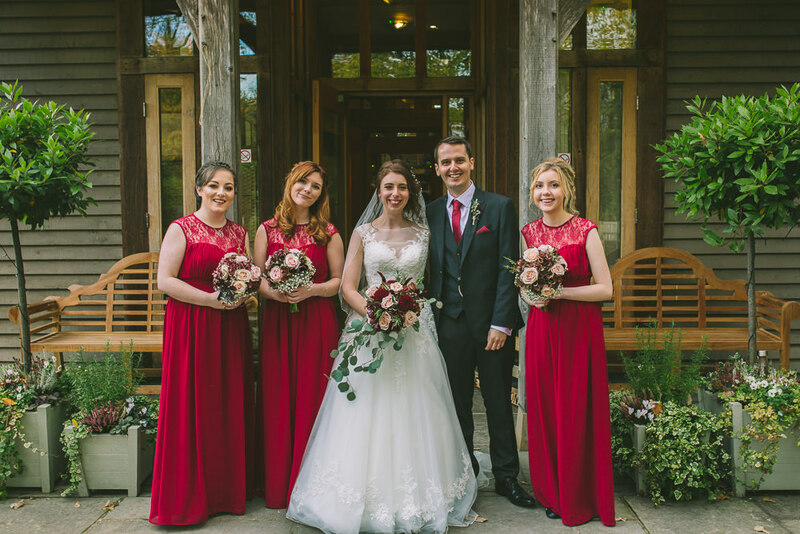 They chose marsala as a key colour for their wedding, which evokes feelings of warmth and cosiness on the coolest of days and is dramatic and festive on the photographs. 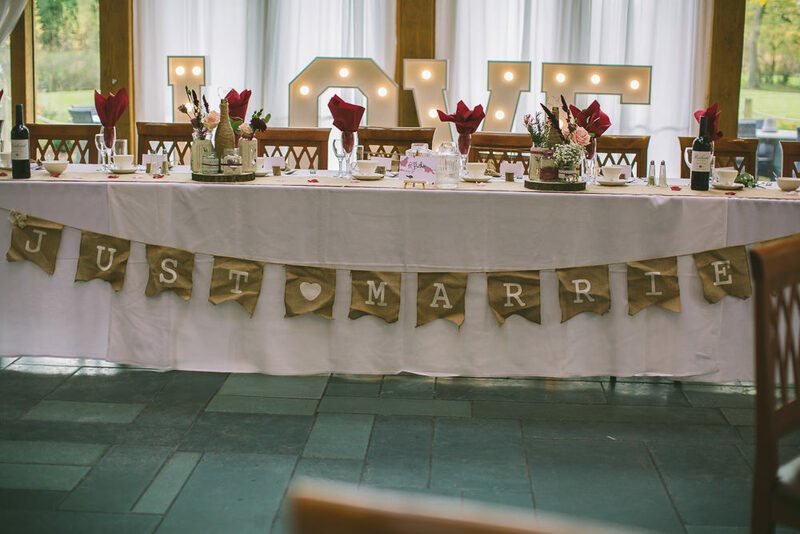 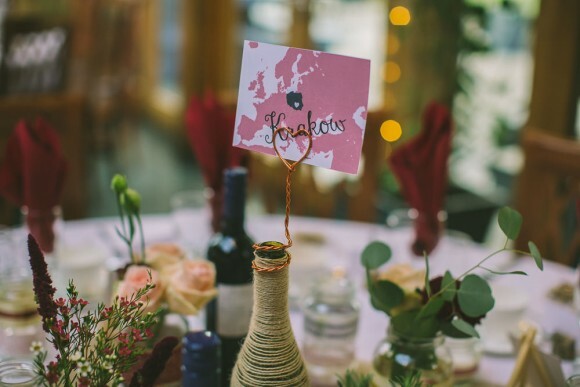 To continue the cosy theme, the couple decorated the wedding breakfast with fairy lights draped from the ceiling and placed giant love letters behind the top table, which looks wonderfully effective as the daylight begins to fade. 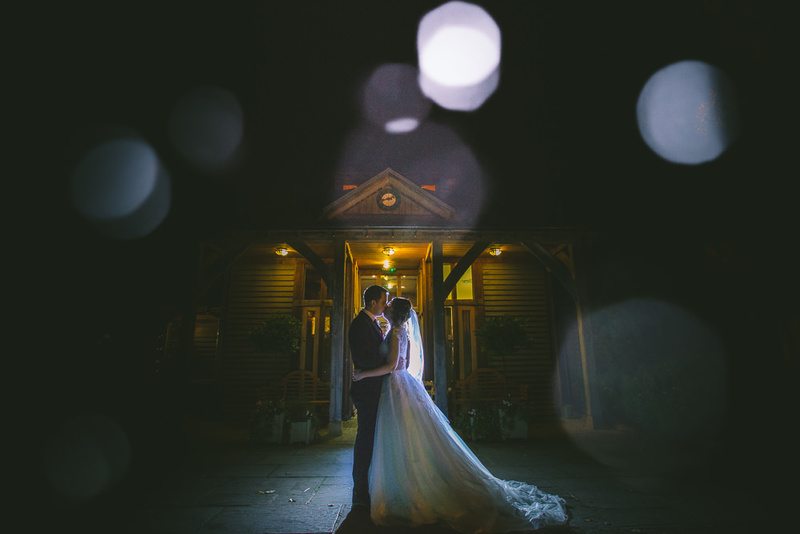 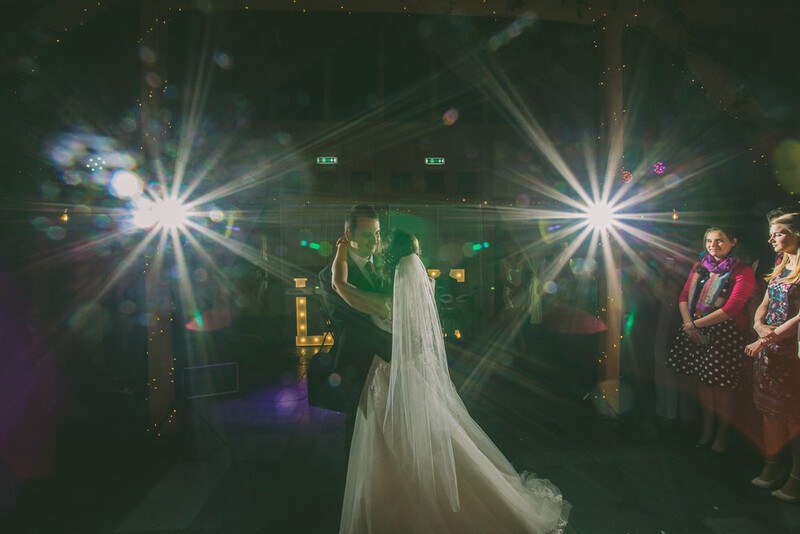 For an autumn or winter wedding the lighting is so important – balancing your light levels using plenty of different, gentle light sources enables your photographer to get some fantastic, atmospheric shots and really capture the ambience you’ve worked so hard to create. 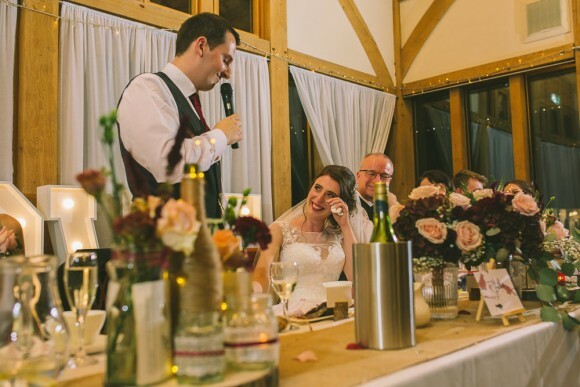 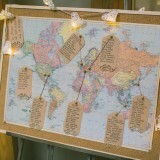 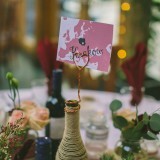 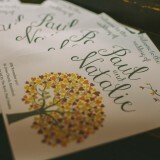 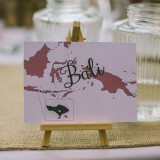 Natalie and Paul share a love of travel, so the map of the world they used as a table plan is a great idea to bring their personalities to the fore. 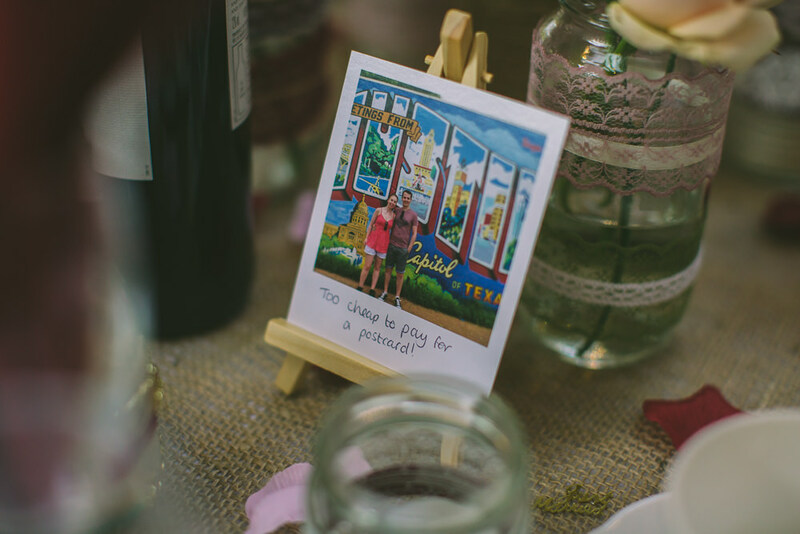 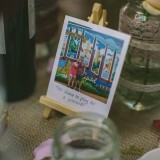 They also dotted photographs on little easels throughout the wedding breakfast of their adventures, which is a lovely, personal touch. 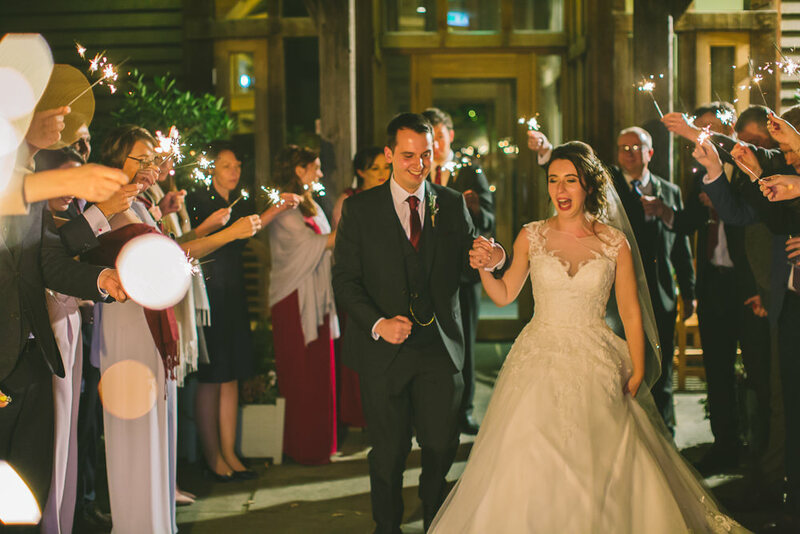 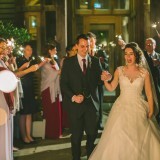 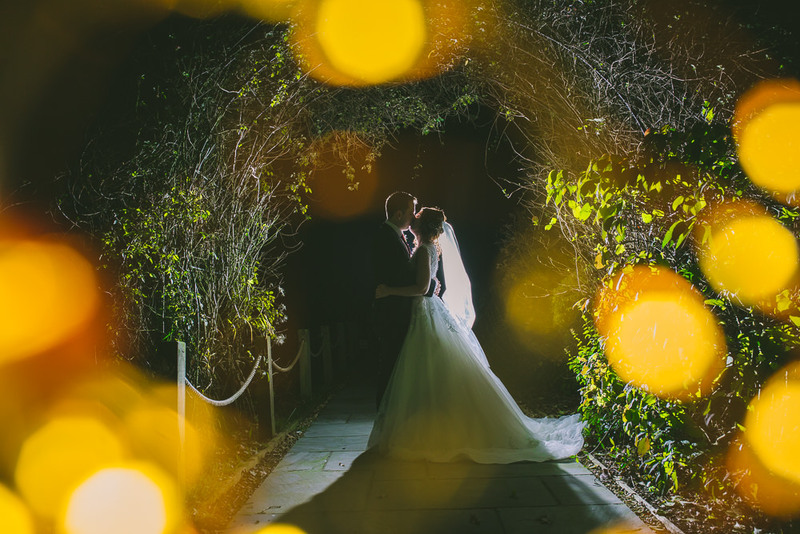 We also love the photo opportunity at night, when all the guests line up and wave sparklers for the couple to walk through – another magical use of light! 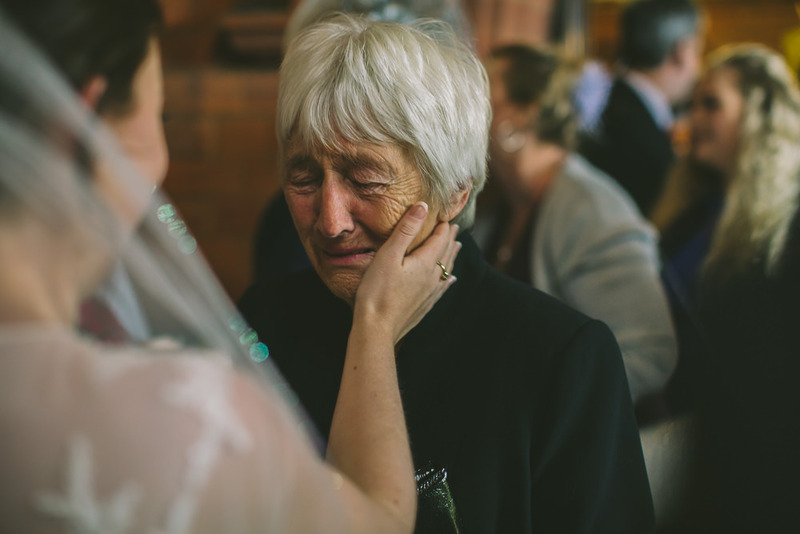 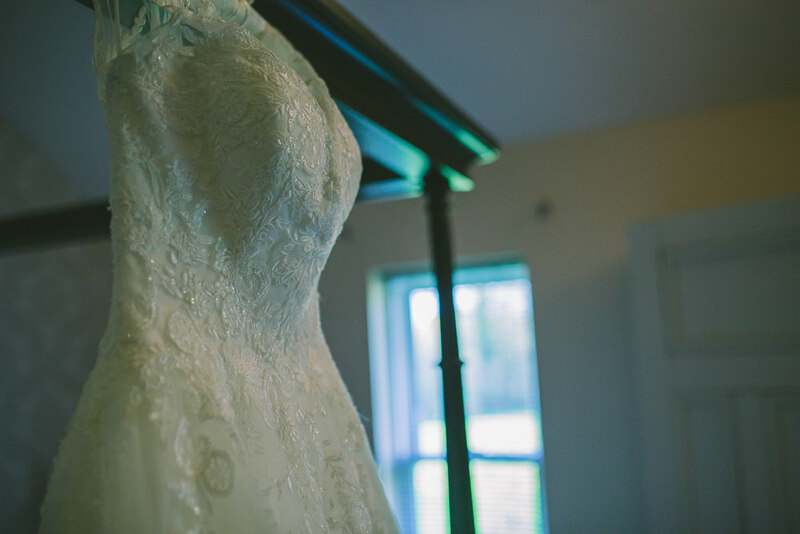 With images by Brides Up North Sponsor, Nik Bryant Photography. 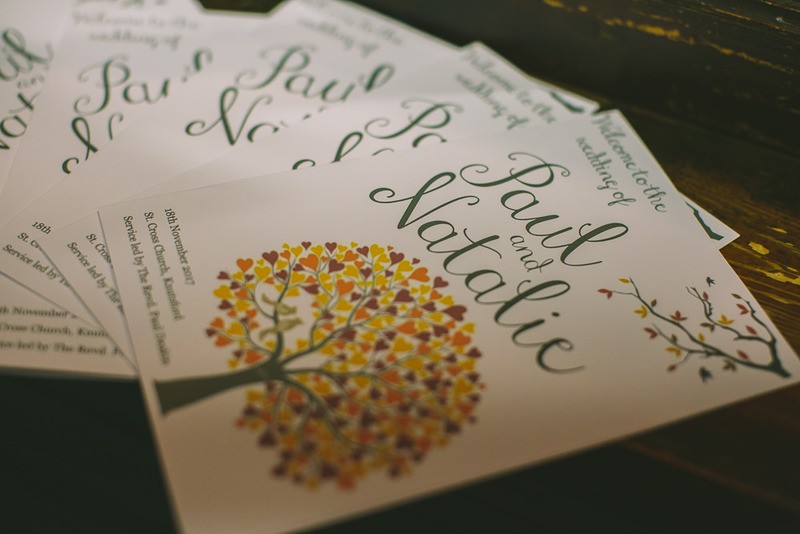 natalie says: Paul and I got engaged while we were on holiday in America on 25th May 2016. 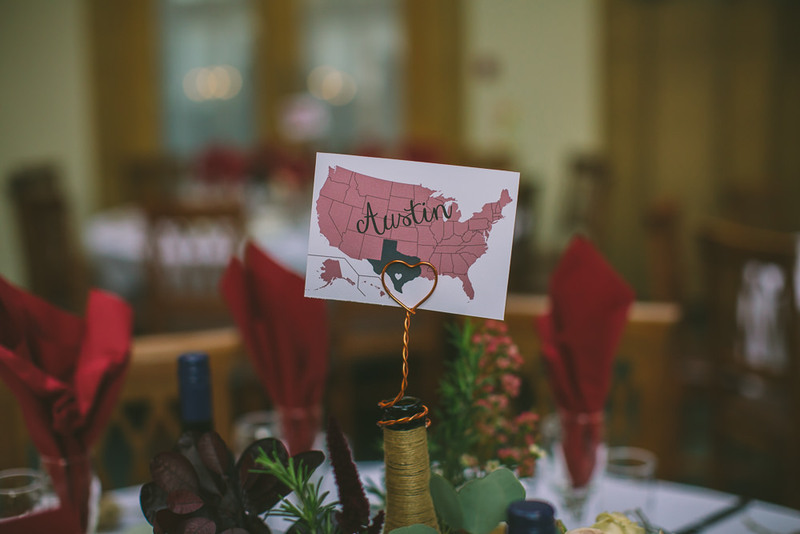 We were in Austin, Texas, and, after eating our bodyweight in delicious barbecue meat in Franklin’s BBQ, we climbed to the top of Mount Bonnell, which overlooks Austin city and the Colorado River. 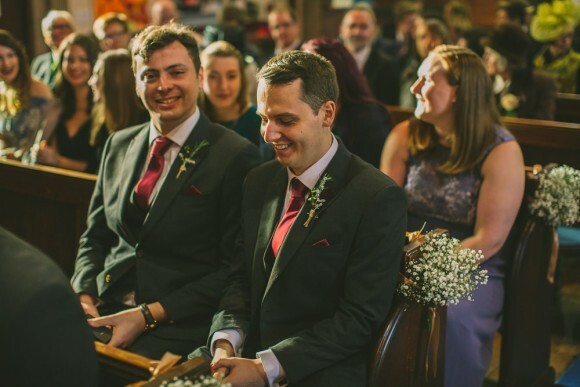 There’s a superstition that says couples who hold hands the whole way to the top without letting go will be together forever, so we decided to give it a go (harder than it sounds in the humid Texas heat!). When we got to the top, we found a secluded spot overlooking the river to cool down and Paul got down on one knee and popped the question. 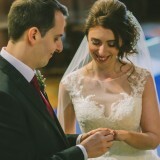 The ring was so beautiful that I couldn’t believe he’d chosen it all by himself! 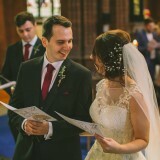 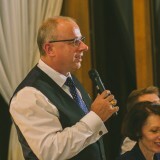 Our wedding date was 18th November 2017. 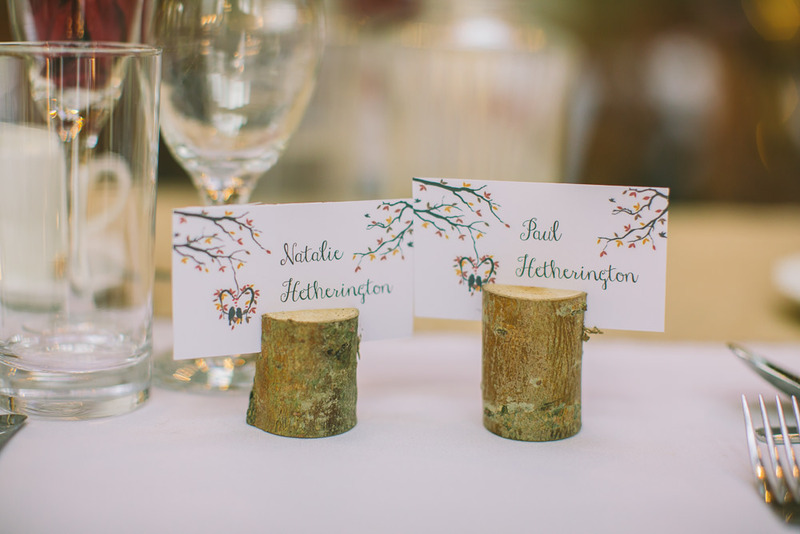 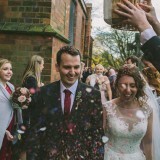 We really wanted it to be cosy and intimate, so we thought a winter wedding would be perfect, but this date also left us enough time for a longer honeymoon before Christmas! 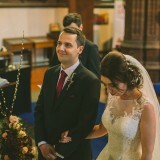 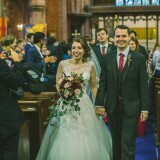 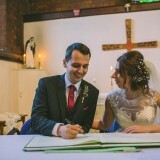 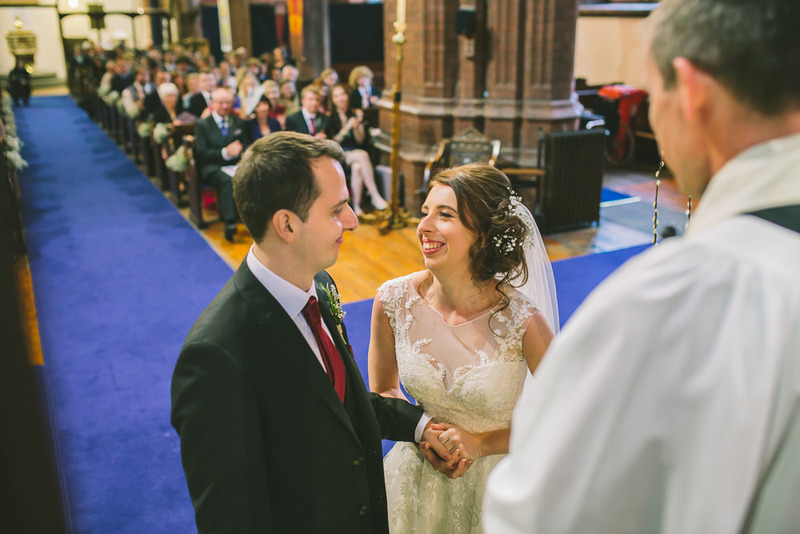 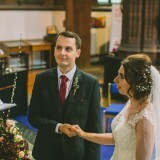 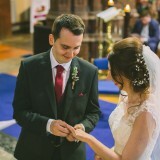 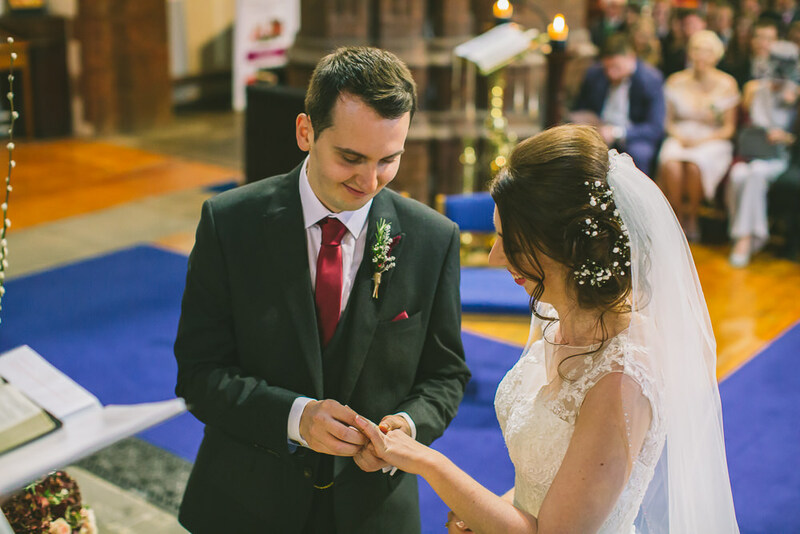 We had our ceremony at St Cross Church in Knutsford. 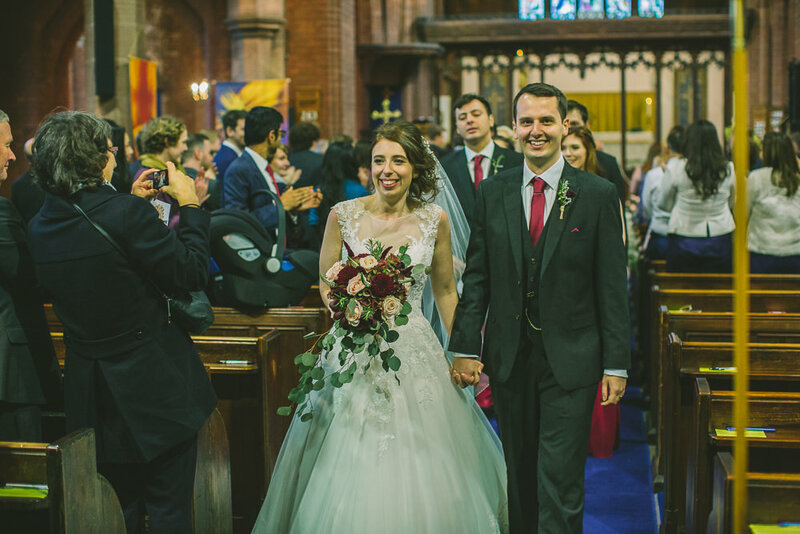 The church was really pretty and, as soon as we went in, we felt really welcomed by everyone, so we were so happy to be able to get married there! 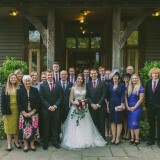 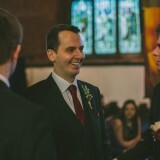 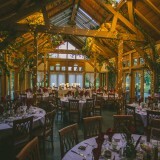 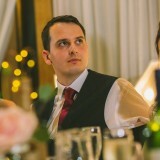 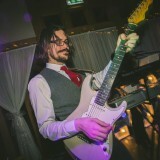 Our wedding reception was at the Oak Tree of Peover in Knutsford, Cheshire. 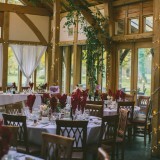 We loved the venue as soon as we saw it! 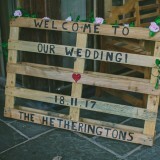 It was so cosy and rustic and was beautifully decorated. 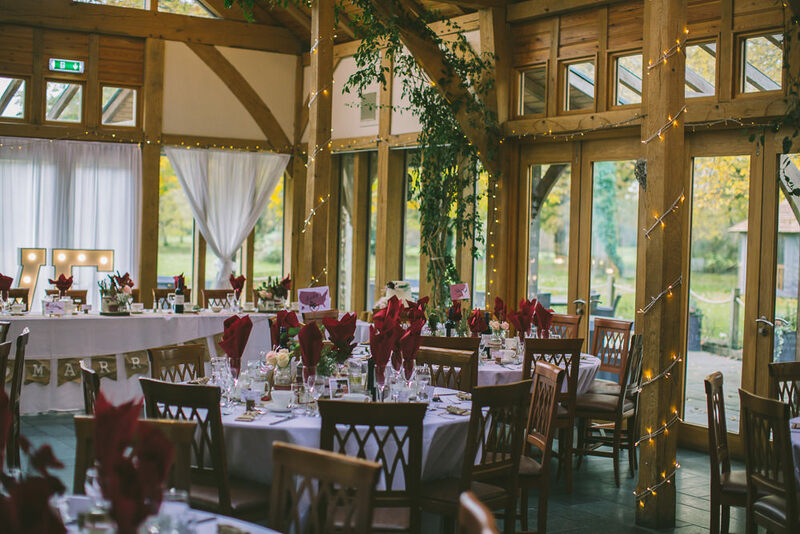 We couldn’t recommend the Oak Tree of Peover enough, particularly for a winter wedding with its lovely fire, fairy lights and ivy. 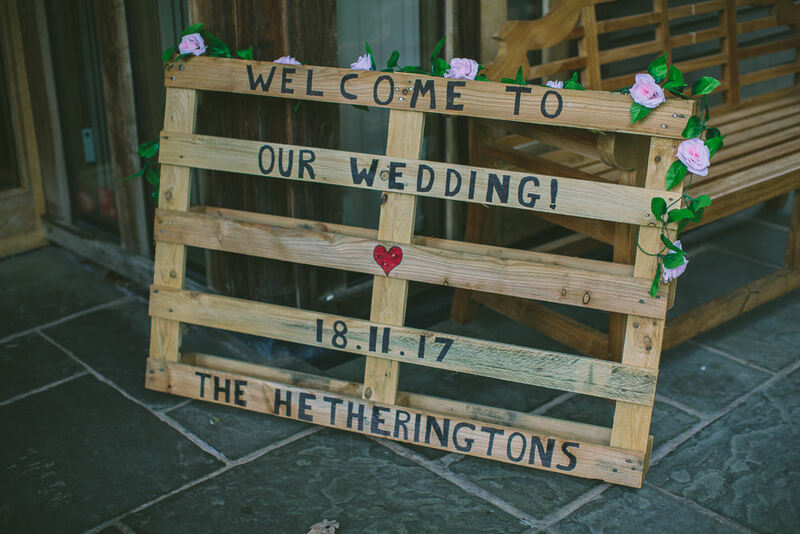 It was the kind of venue that looked amazing without adding anything, but there was plenty of space to add personal touches if you wanted. 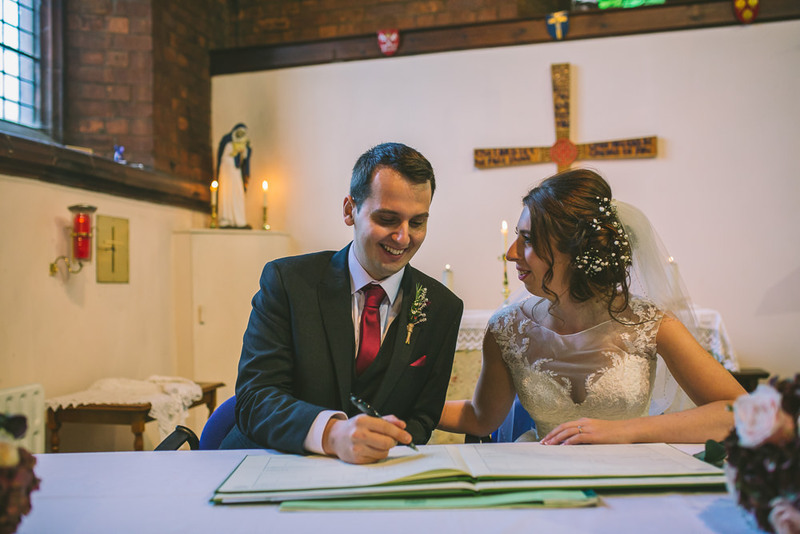 On the day of the wedding, we travelled between the church to the reception venue in a car hired from Broadoak Cars. 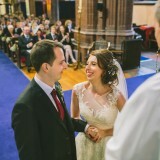 We weren’t sure about hiring a car as both venues were so close but it meant we got some good quality time together to take a breath after the ceremony, and the driver was great at helping me get my dress into the car! 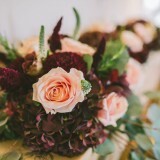 Our colour scheme was marsala and dusty pink, with olive and gold. 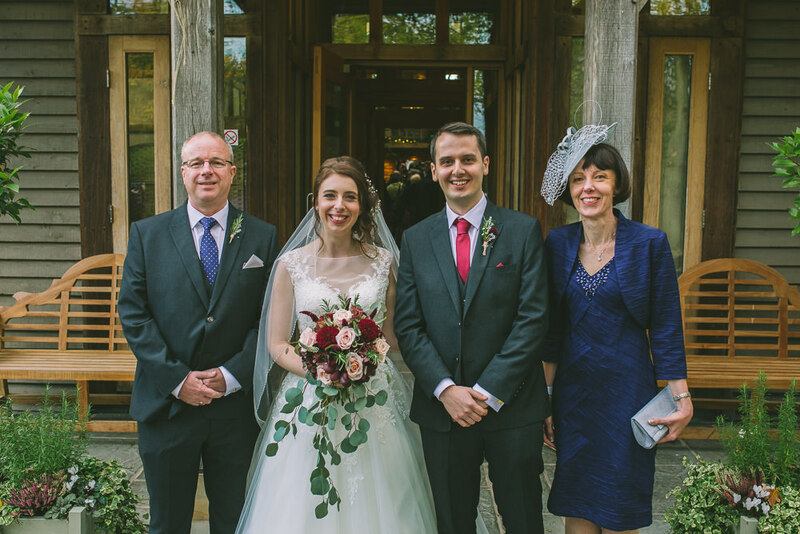 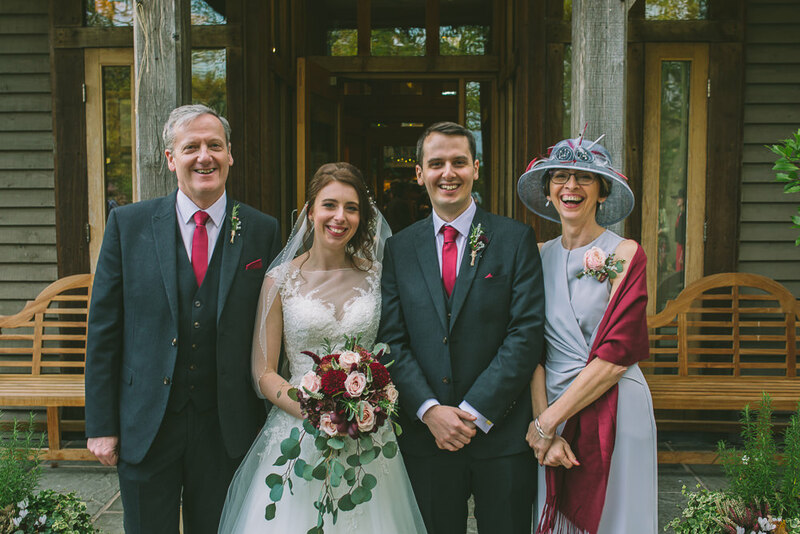 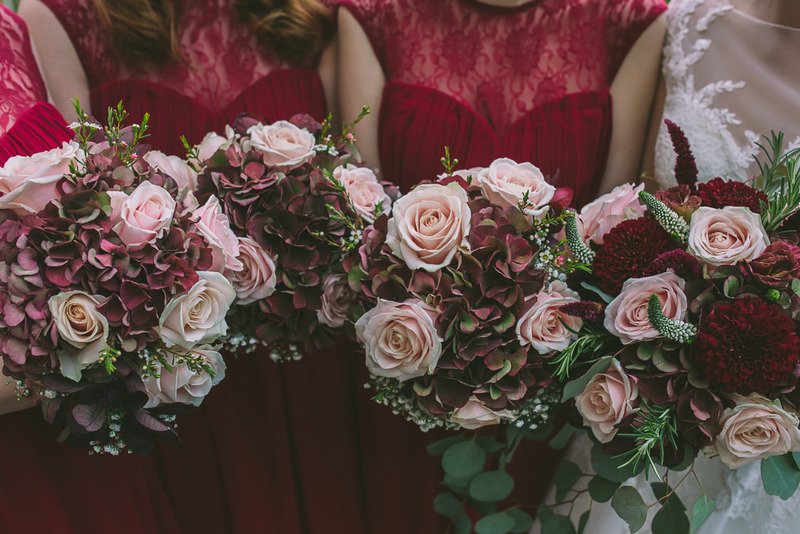 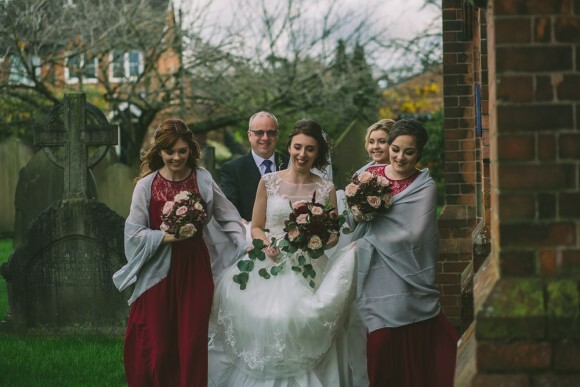 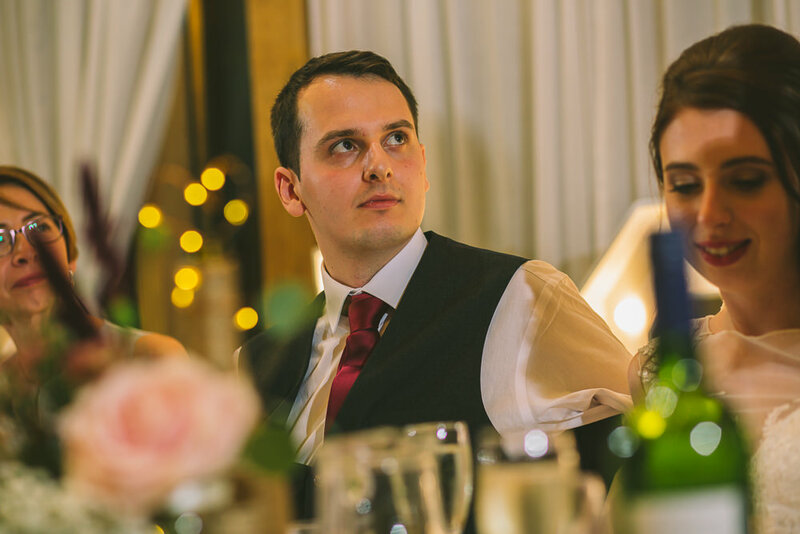 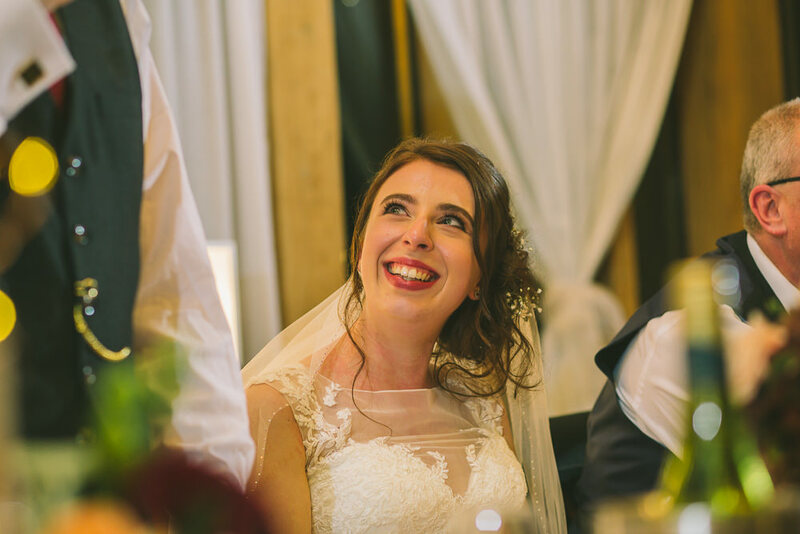 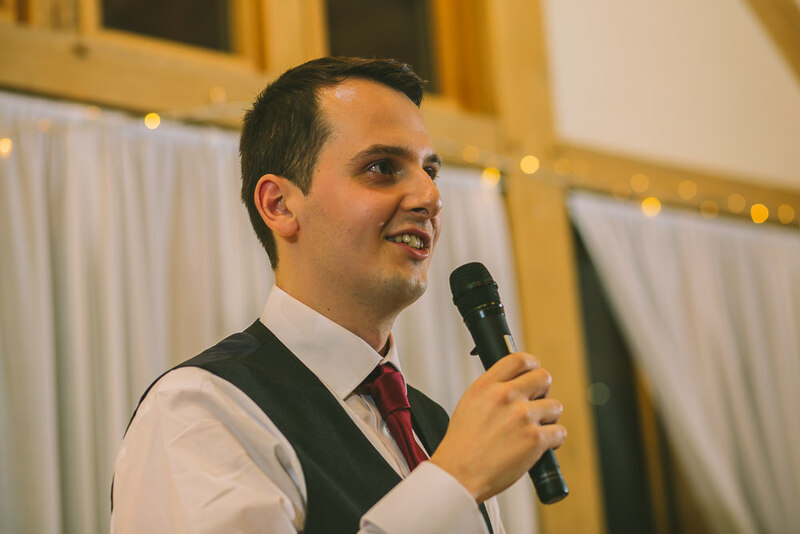 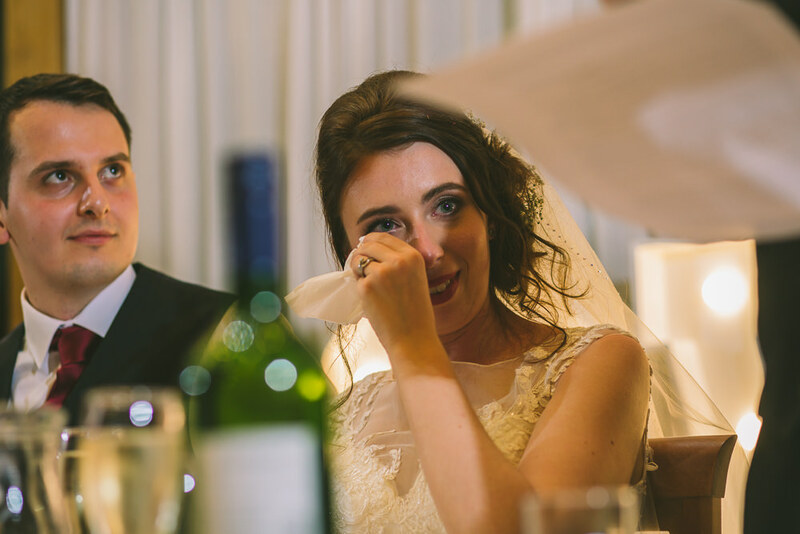 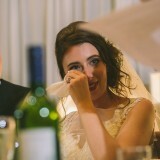 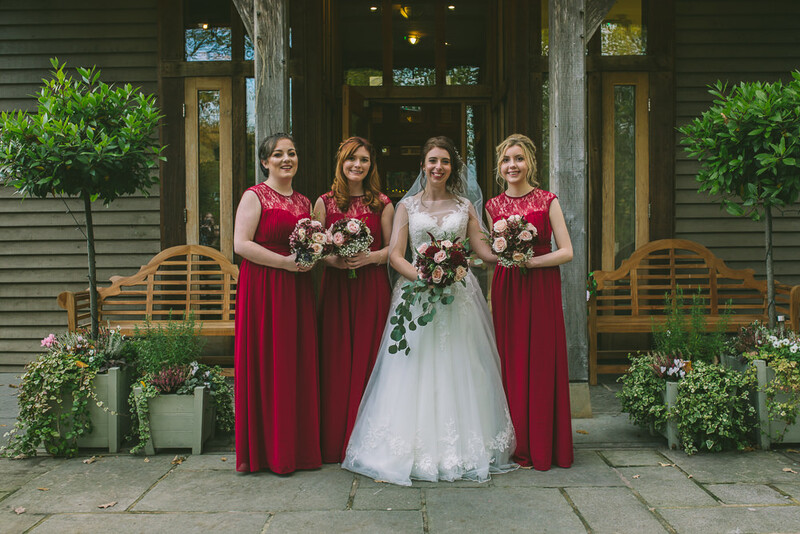 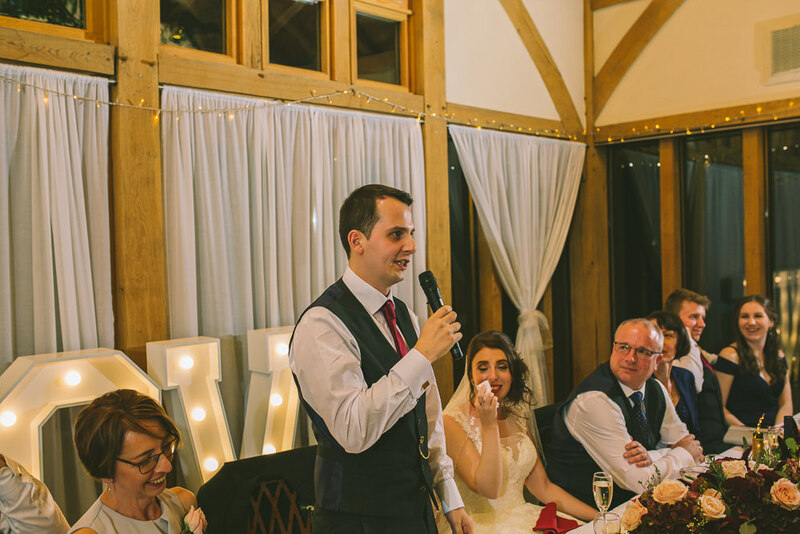 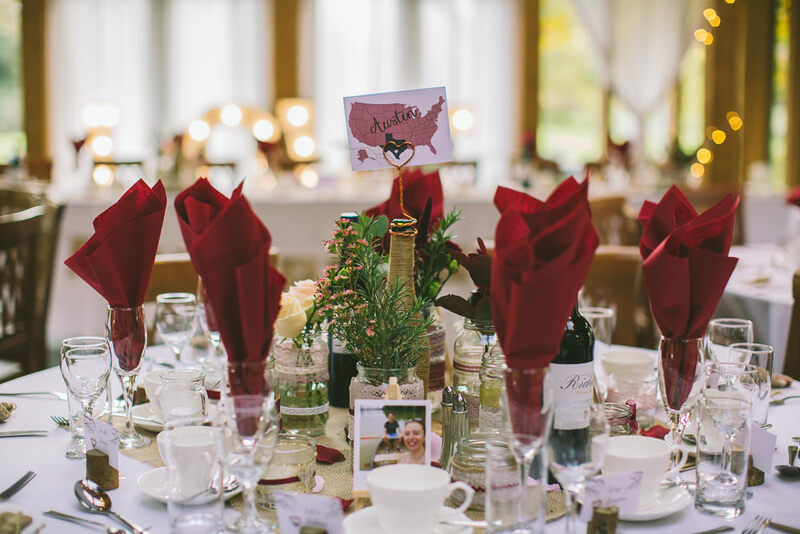 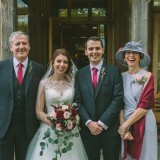 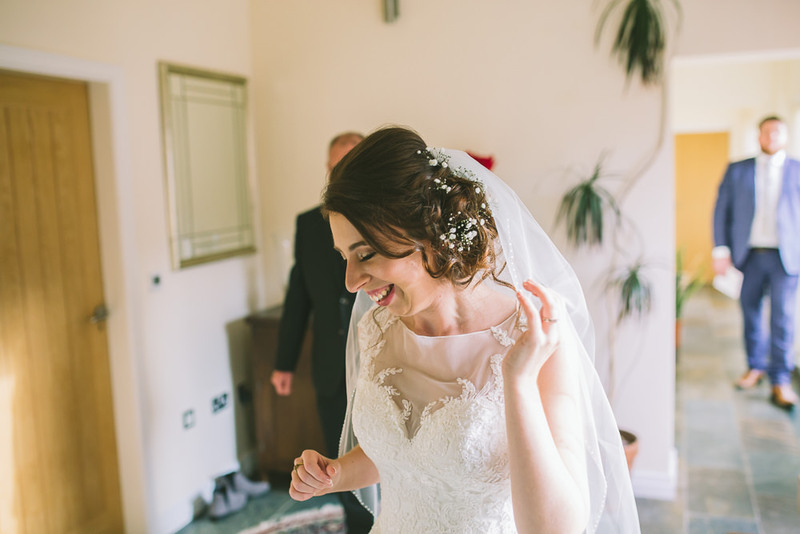 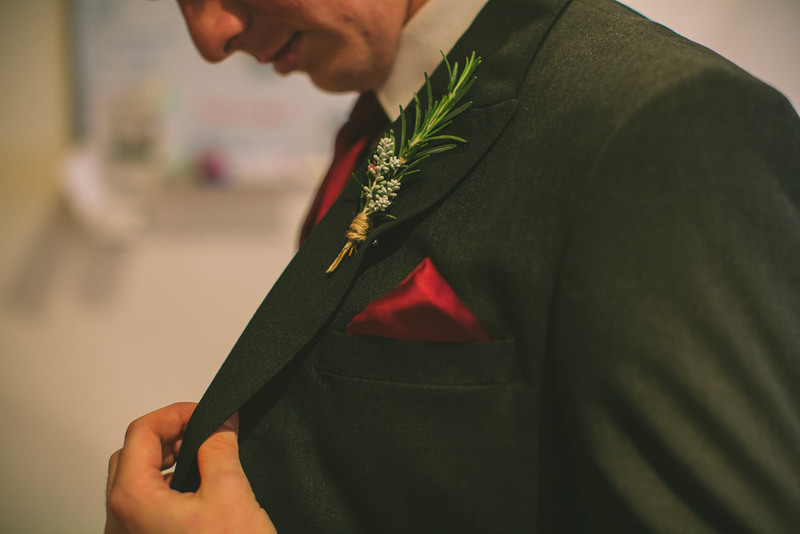 We wanted the darker red as a nice contrast to my white dress and it felt perfect for a winter wedding, whilst the softer pink and olive helped to keep it warm and cosy. 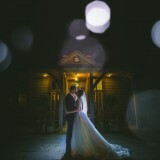 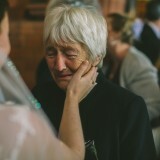 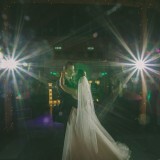 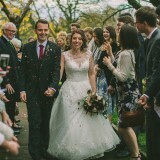 My dress was a Lillian West design from Dream Dress Bridal in Stockport. 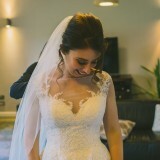 It was only the second dress I tried on, but I fell in love with it straight away and, despite trying on many others afterwards, I just knew I had to have that one! 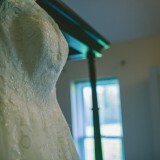 The lace detail was so beautiful on the bodice and around the bottom of the dress and I loved the buttons at the back. 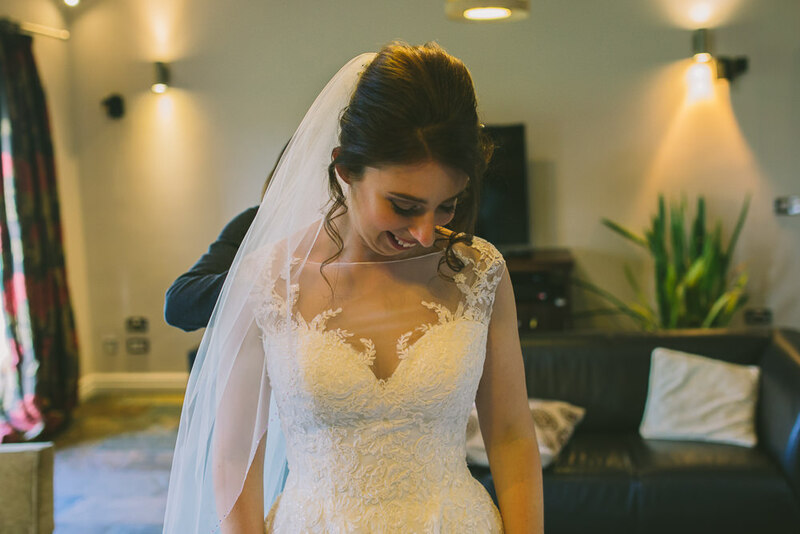 I couldn’t recommend Dream Dress Bridal enough; they made the whole experience feel like something out of a fairy tale and were there to help me with every dress/accessory question/panic! 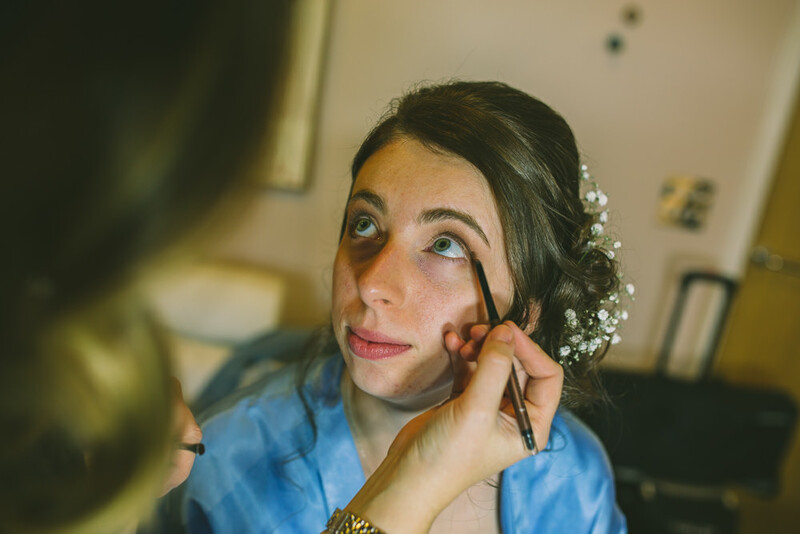 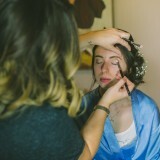 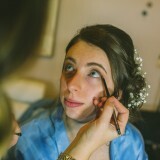 The bridesmaids, both mums and I had our makeup and hair done by Faye Kenyon from Sarah Meredith, who did a great job of tailoring all of our makeup to what we wanted and helped make the getting ready process so much fun! 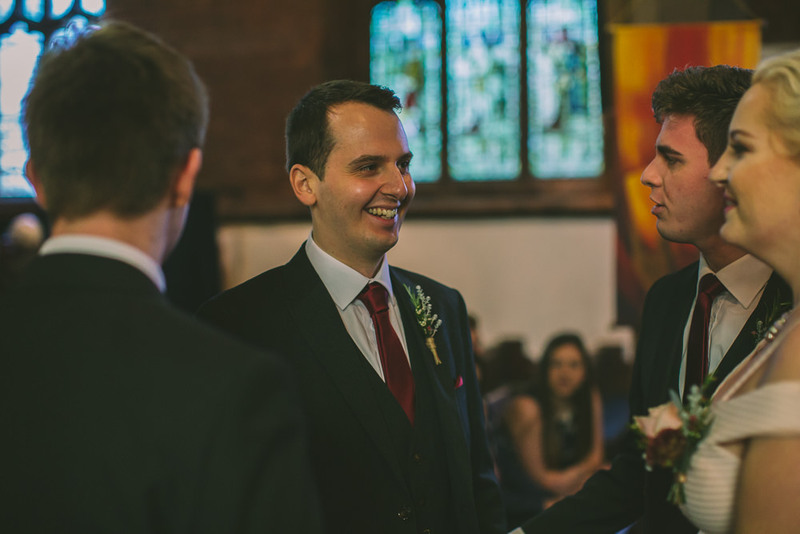 Paul wore a three-piece charcoal suit from Slaters with a marsala tie and pocket square. 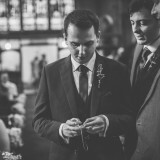 He had gold cufflinks and a pocket watch, which I got him as a wedding gift. 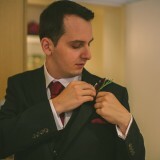 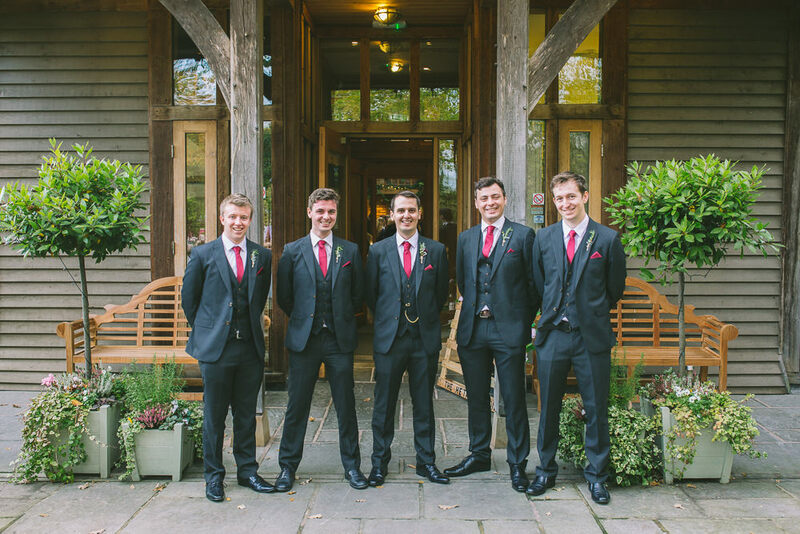 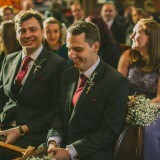 The groomsmen all wore the same suit, tie and pocket square as Paul, and the bridesmaids wore long marsala dresses from Little Mistress. 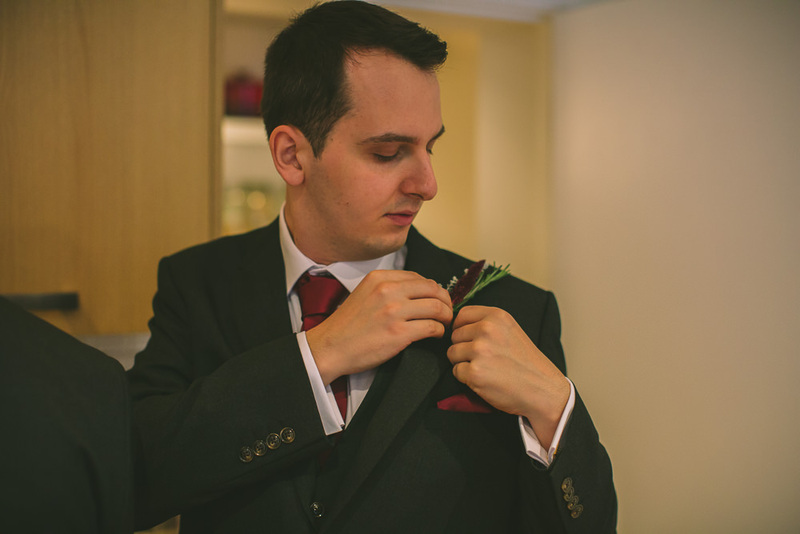 The matching colours throughout made for great photos! 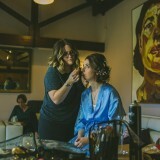 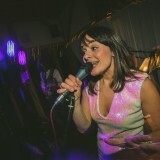 Our photographer was the wonderful Nik Bryant. 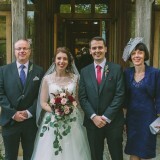 We couldn’t have asked for a nicer person to photograph us; he felt more like a guest than a photographer. 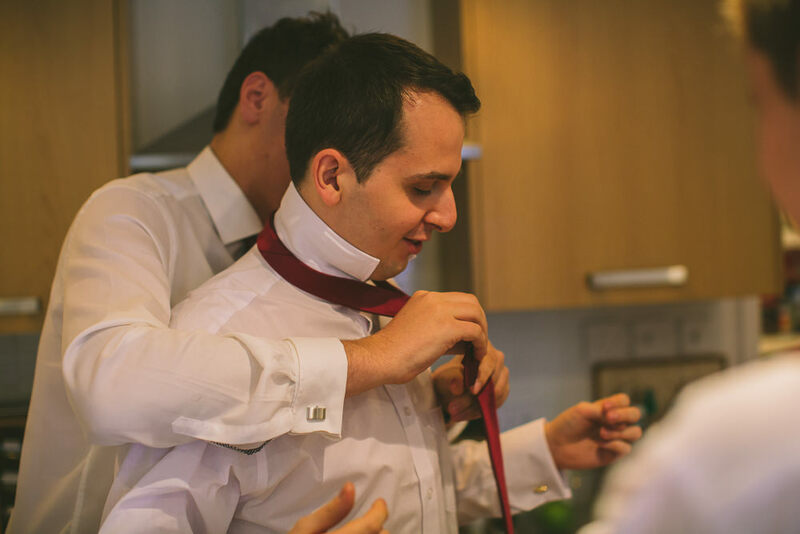 We had engagement photos with him before the big day, so felt immediately at ease. 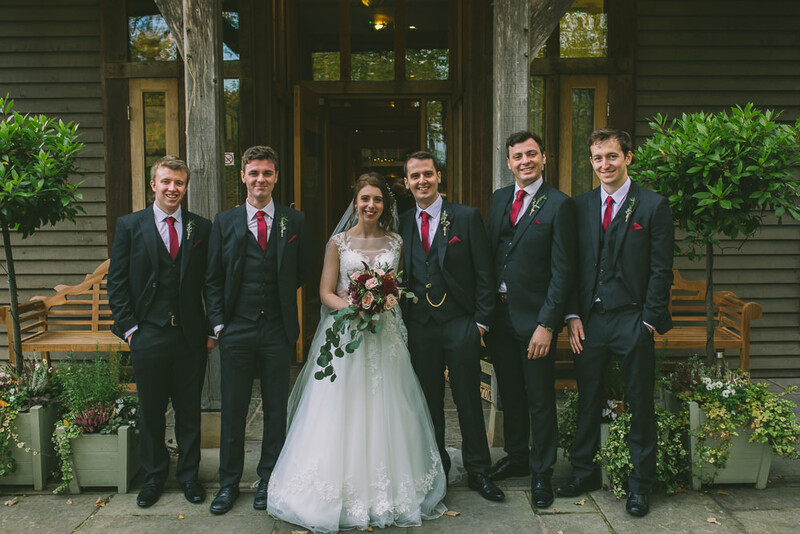 He got all our group shots done so quickly that it didn’t feel like a hassle on the day. 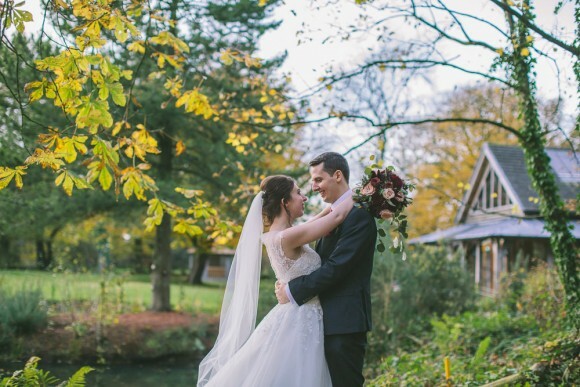 We were amazed when we saw all our photos back after our honeymoon – we couldn’t have asked for more perfect photos of our day! 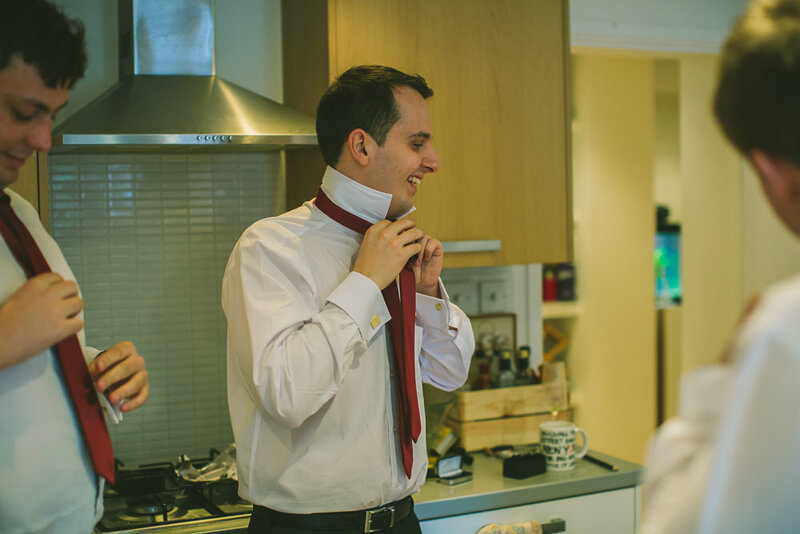 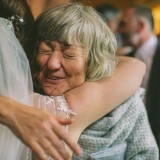 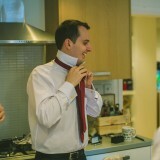 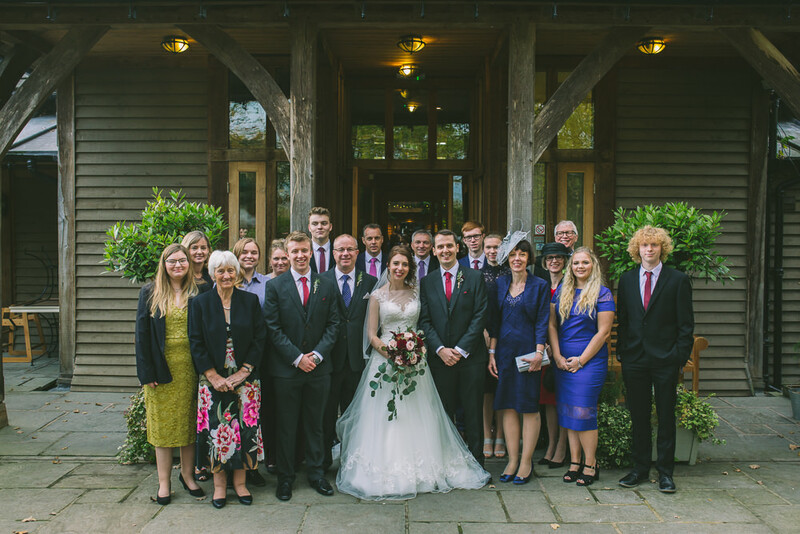 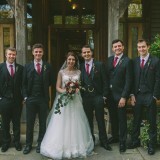 He captured everyone fantastically, getting loads of natural, candid shots alongside the more traditional group shots. 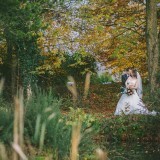 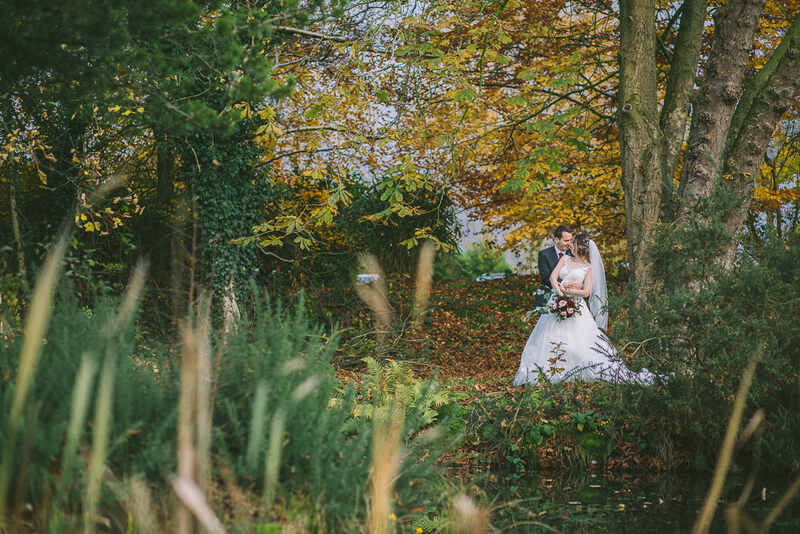 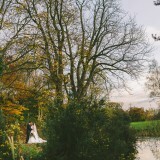 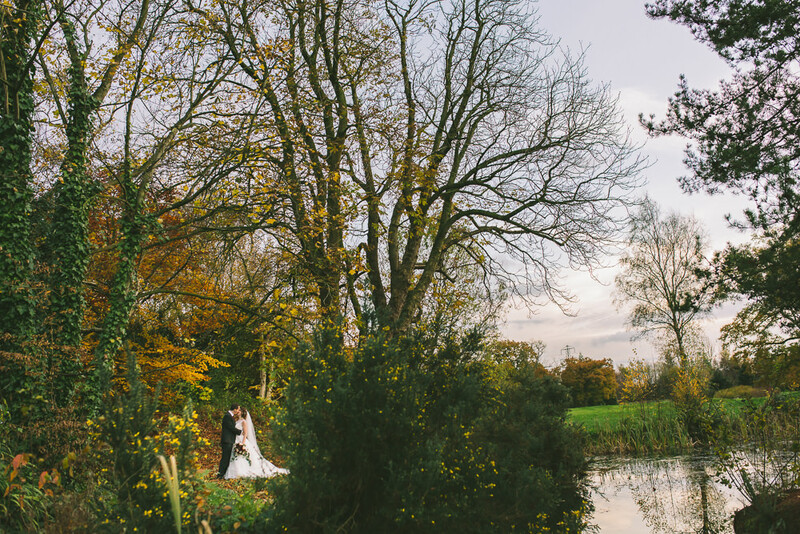 We particularly loved our couple shots that we got in the grounds of the Oak Tree – we have too many amazing ones that we really struggled knowing which to put up on the wall! 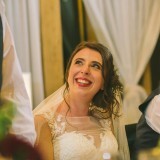 Our videographer was the lovely Emma Glopys. 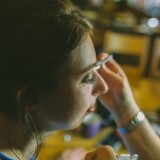 She was amazing and so friendly, but we barely noticed her filming throughout the day. 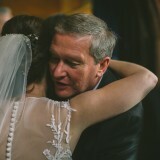 She put together the most perfect video with beautiful music. 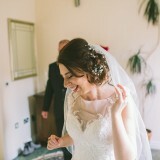 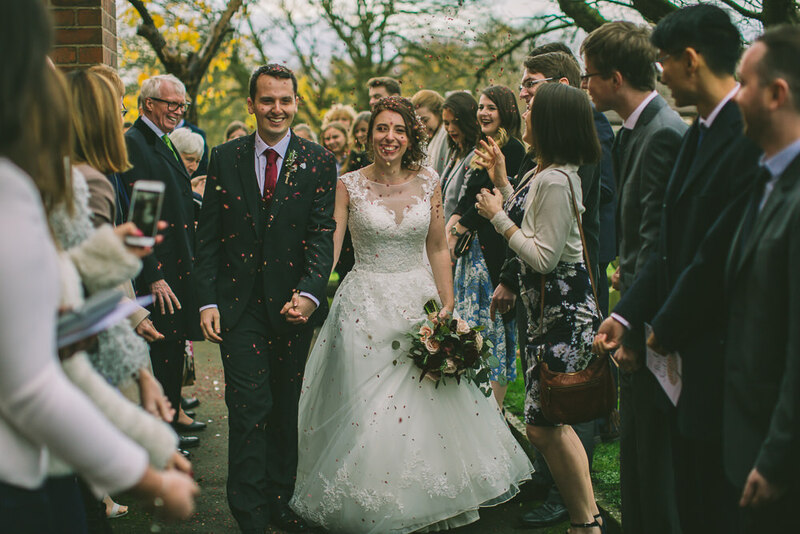 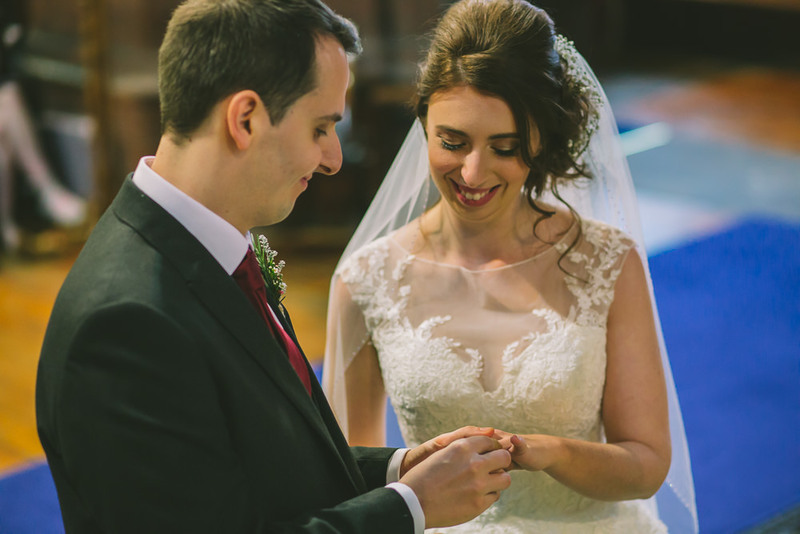 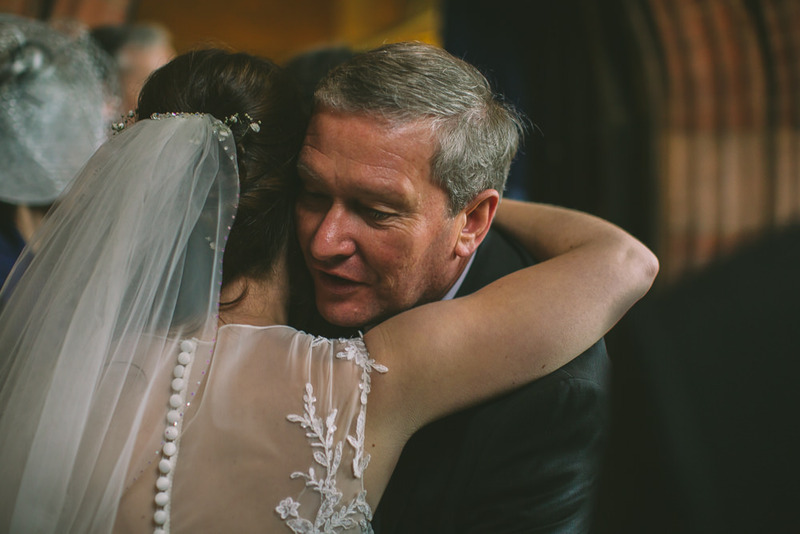 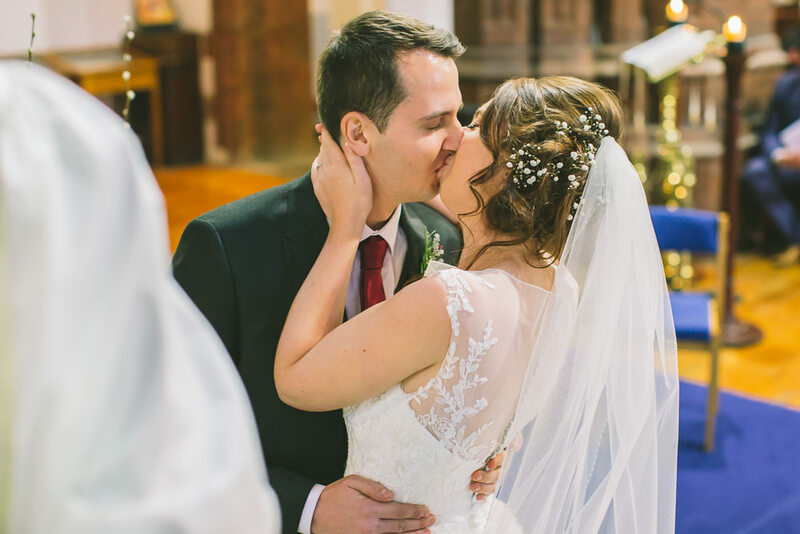 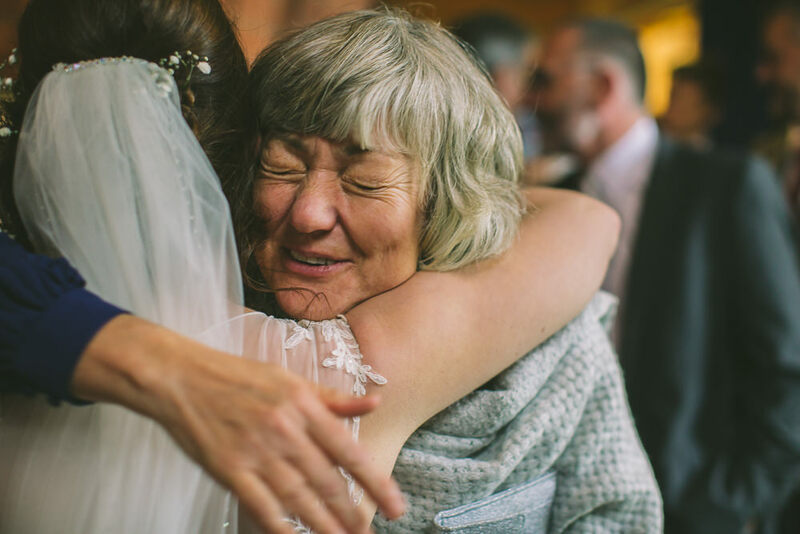 We’ve watched it so many times and it’s a lovely reminder of the perfect day! 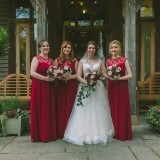 All of our flowers were provided by Siobhan McArthur at The Bloomhouse. 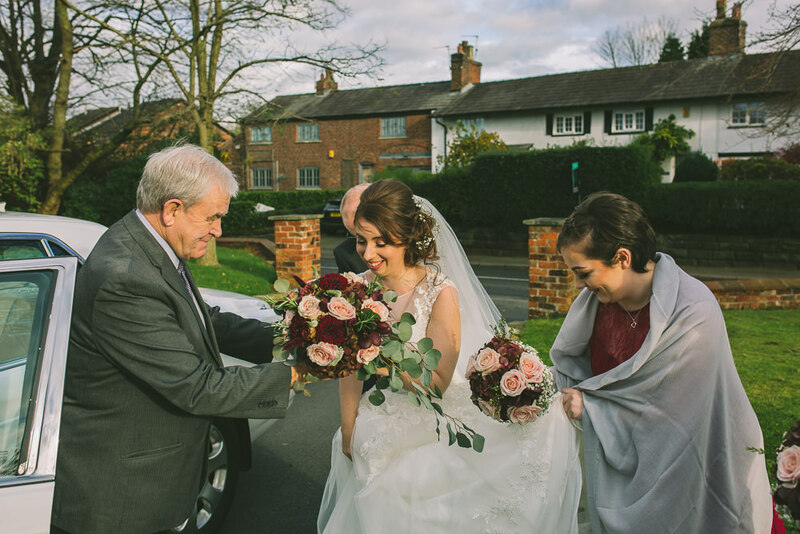 We were so clueless about flowers and what we wanted but she was really great at sitting down with us and showing us loads of different pictures and examples, so she could get a sense of what we liked. 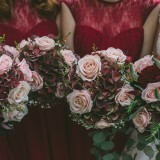 She then put together the most beautiful bouquets for me and my bridesmaids, filled with pale pink roses and dark red dahlias. 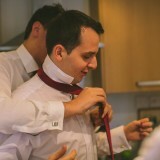 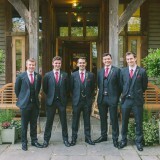 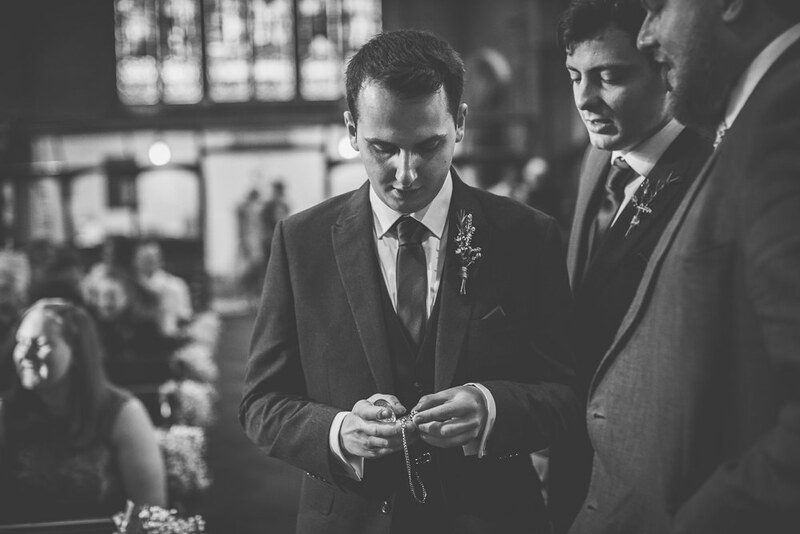 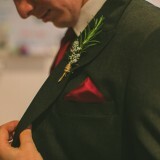 The boys all wore matching buttonholes finished in twine. 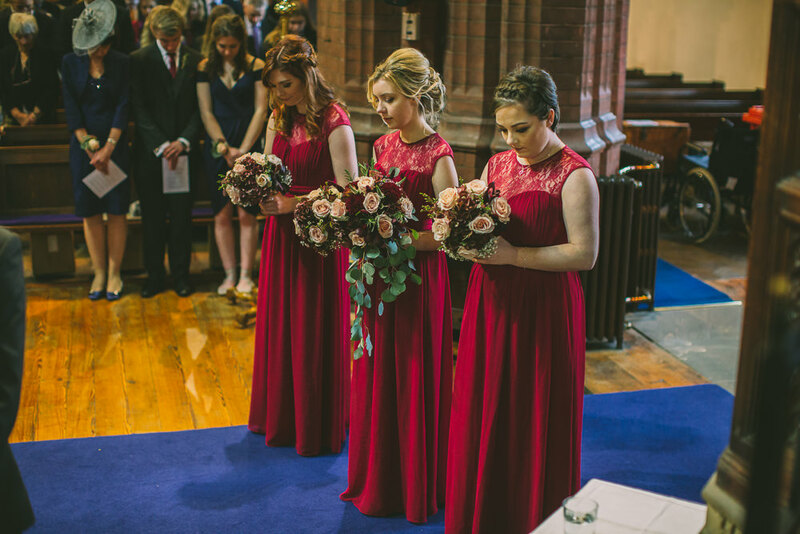 Siobhan at the Bloomhouse also provided us with all the flowers to decorate the church and wedding reception. 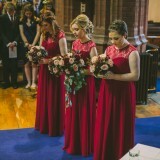 We had simple gypsophila pew ends at the church, along with two beautiful pedestal arrangements that matched my bouquet. 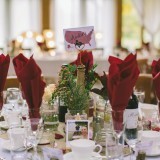 For the reception, Siobhan carried over the pedestal arrangements and we used our bouquets to decorate the top table. 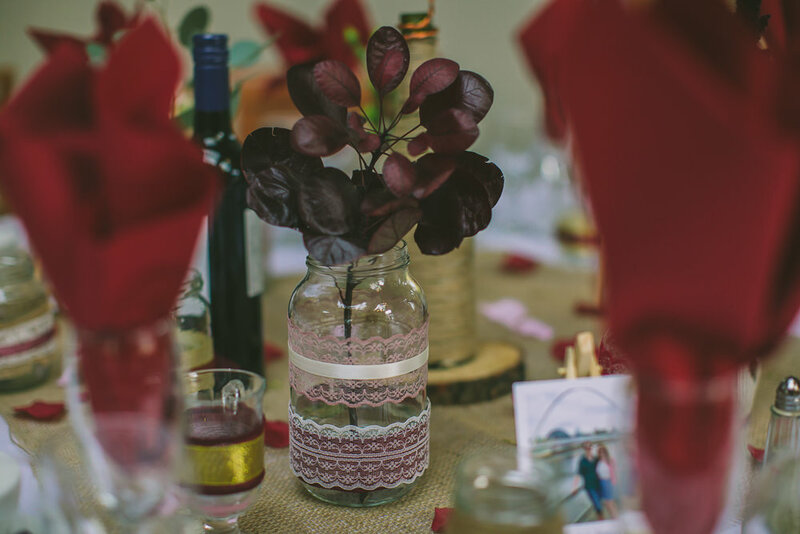 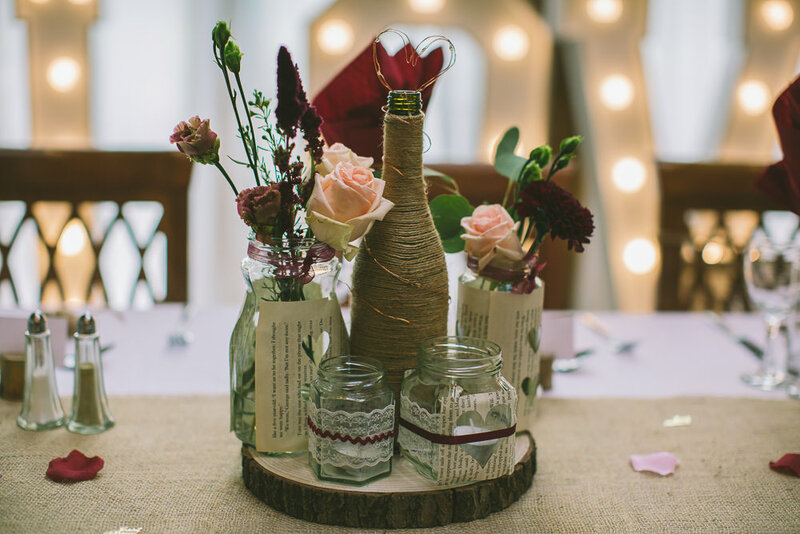 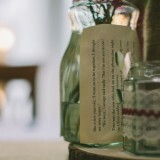 I had decorated loads of jars to put on the dinner tables and Siobhan filled them all with various flowers in marsala, blush and olive tones, which looked amazing. 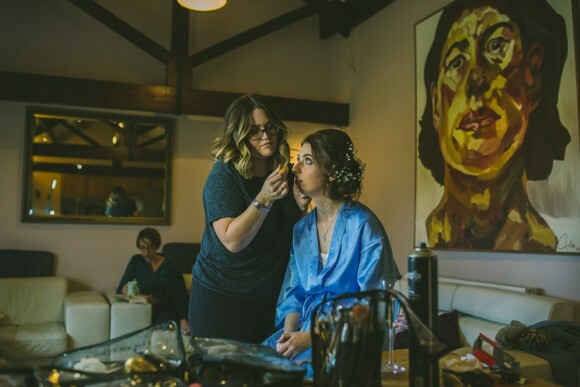 She definitely went above and beyond at making both the venues look amazing! 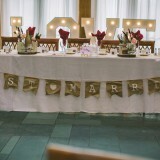 We tried to make our day as personal as possible and so made a lot of the decorations ourselves. 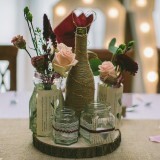 We decorated all the jars and twined all the bottles for the dinner table centrepieces. 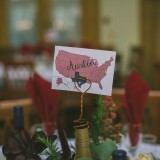 Our table plan was a big map and all the tables were named after places we’ve been together. 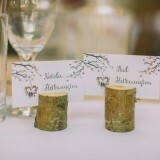 We made the place names ourselves and my father-in-law cut individual pieces of wood to use as little holders for them. 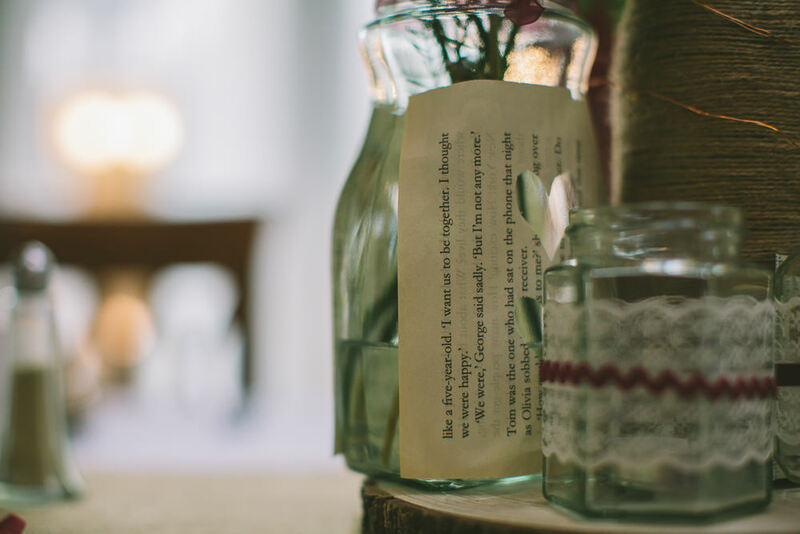 With the beautiful venue bringing it all together, little personal touches turned it into a cosy, intimate wedding! 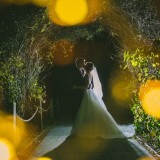 We also got Love Lights from Words to Glow. 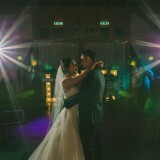 They really helped to light up the venue, especially at night when the band was playing. 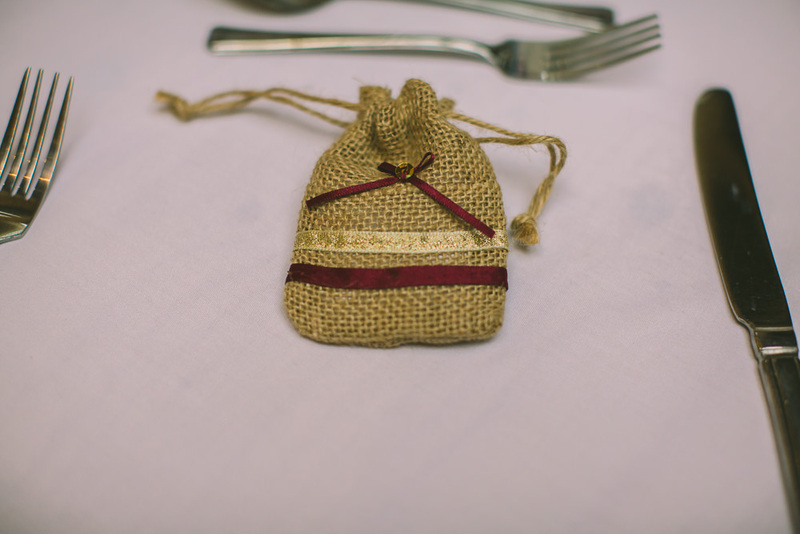 For favours, we thought we’d stick with the rustic theme and had little burlap bags filled with sunflower seeds for people to plant after the wedding. 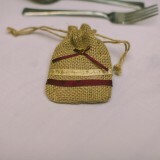 My mum was a huge help and sorted all of these, even sewing on ribbon and sequins to decorate the bags! 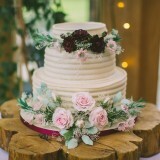 Our family friend Sue at The Cake Box made and decorated our wedding cake. 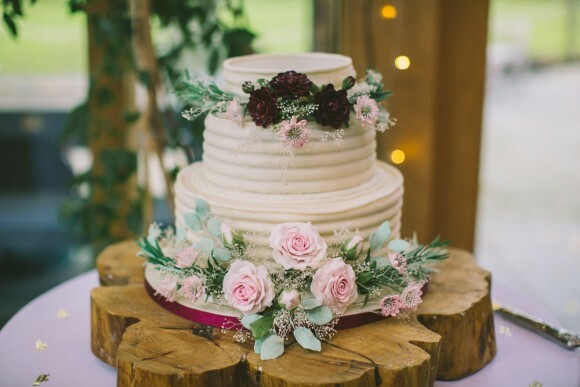 We had three tiers: one fruit, one chocolate and one lemon. 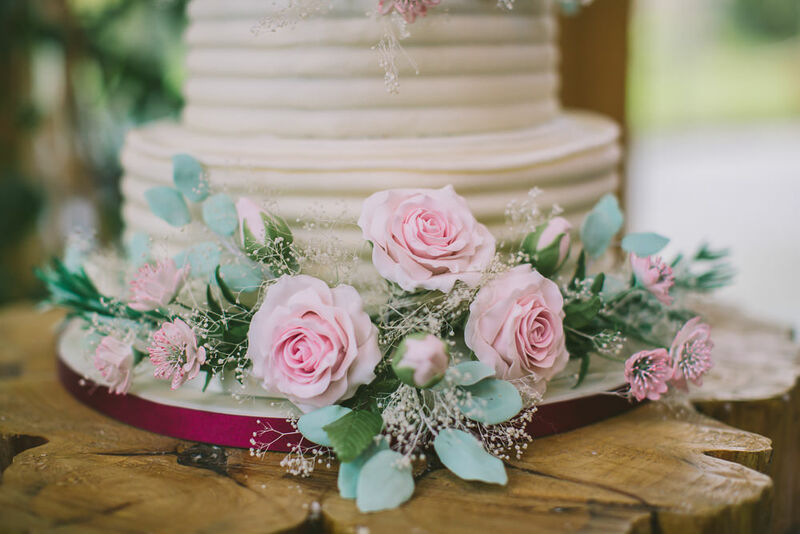 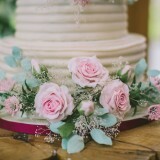 The cake itself was beautiful and she made the most intricate flowers matching our colour scheme perfectly. 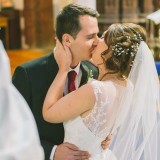 I couldn’t believe they weren’t real! 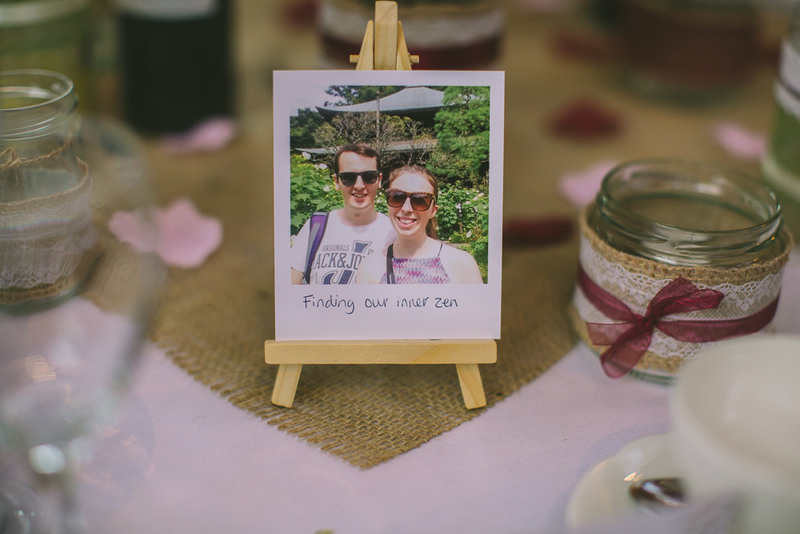 What really stole the day was the little fondant figurines of us she made to go alongside our guestbook! 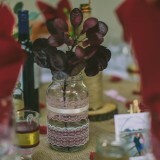 We got our wine from Majestic Wine. 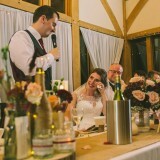 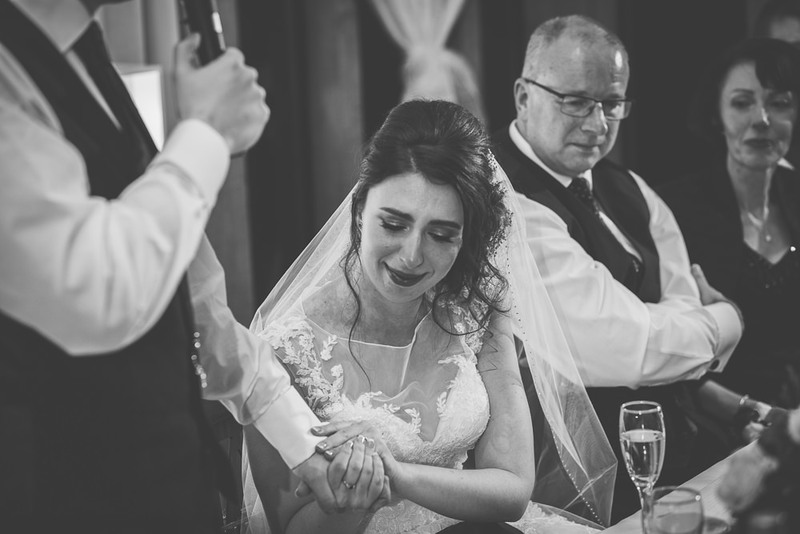 They were great at letting us book an appointment to go and try a variety of different wines before picking which ones we wanted, and they delivered them straight to the venue, which saved us all the hassle. Our food was supplied by Country Kitchen. 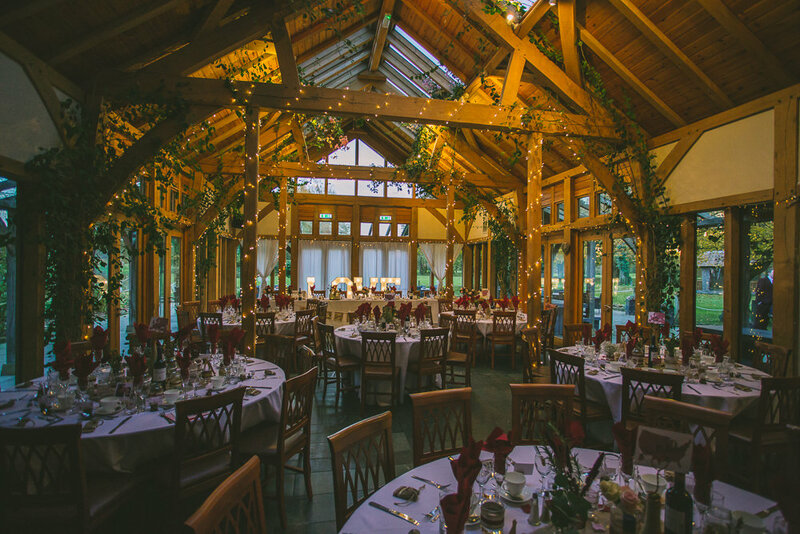 We had lovely canapés at the drinks reception to keep everyone going until the main meal, which was barbecue beef brisket with sweet potato fries or a chicken and leek pie. 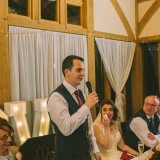 We were indecisive about desserts so went for a trio: sticky toffee pudding, New York cheesecake and chocolate fudge cake. 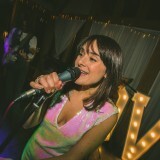 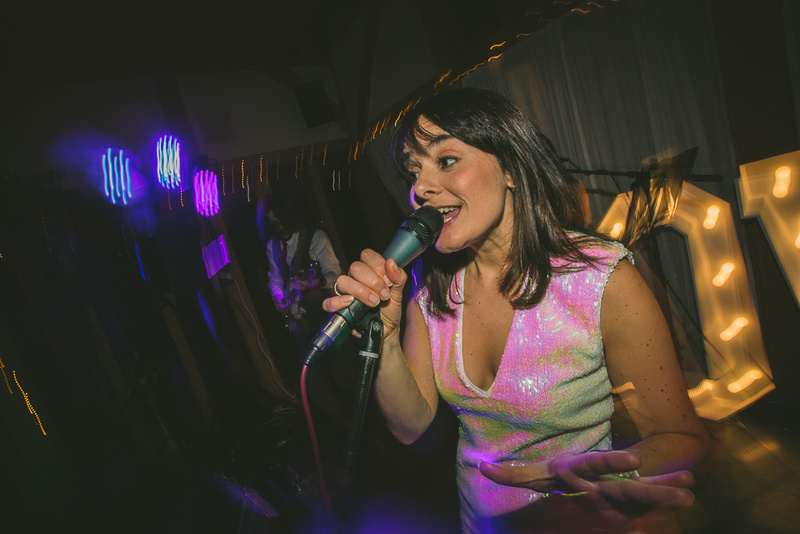 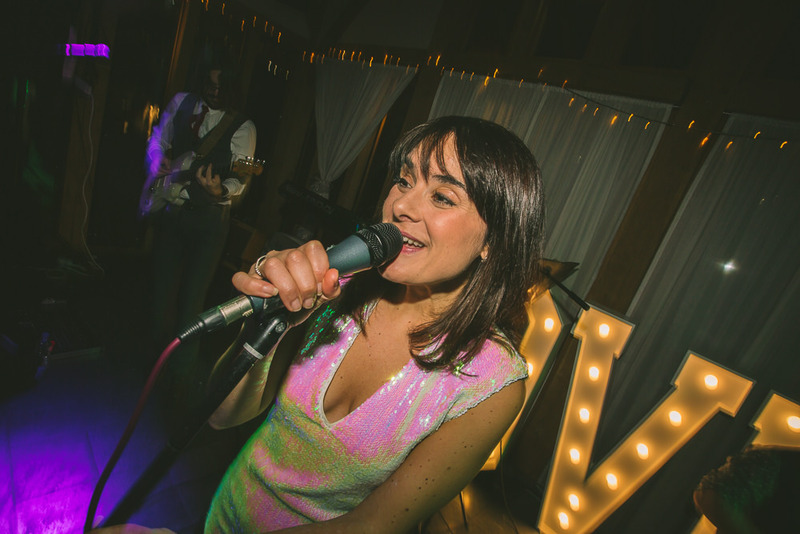 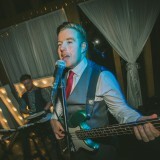 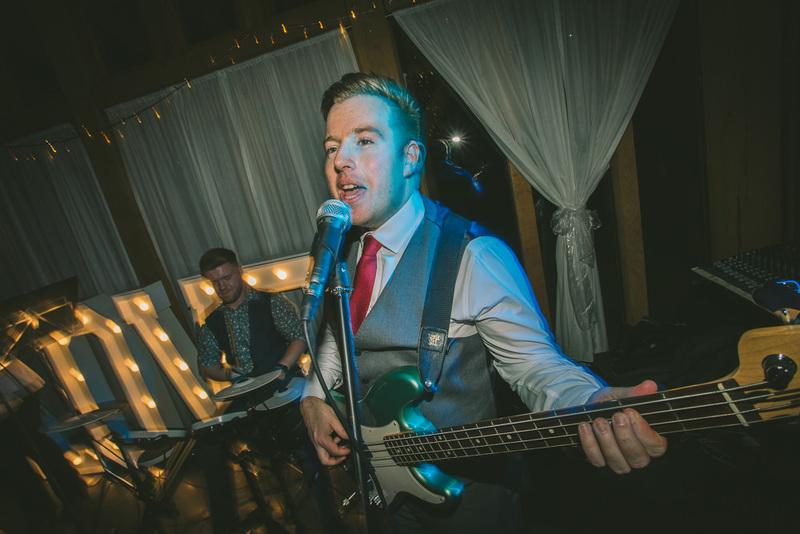 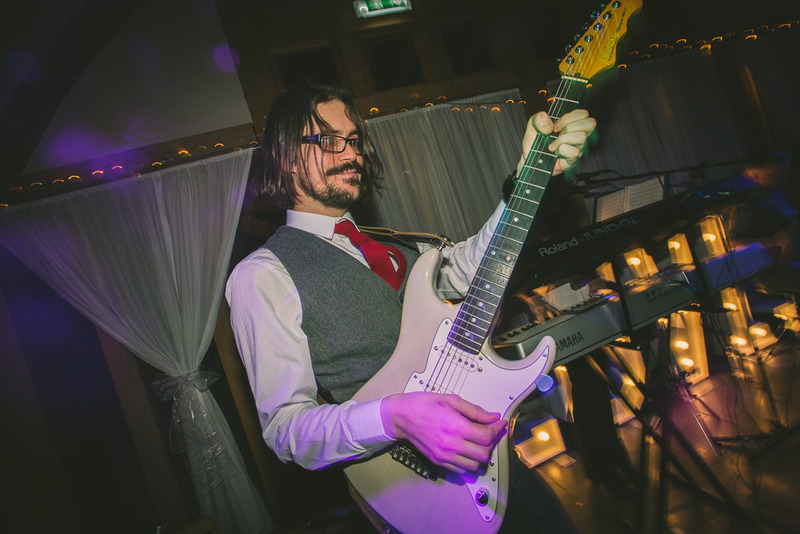 When it came to the entertainment, we wanted a live indie cover band and were originally drawn to BamBam and the Bobcats because of their name but then, after listening to a couple of their covers online, we knew they’d be perfect and they didn’t disappoint! 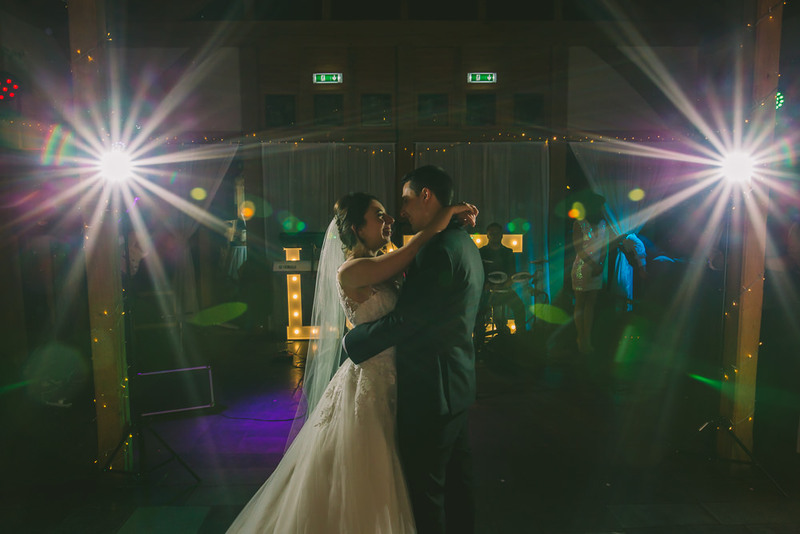 Through every song they had everyone up and dancing, and we had so many people complimenting the music after the wedding. 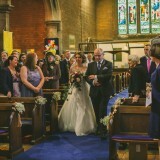 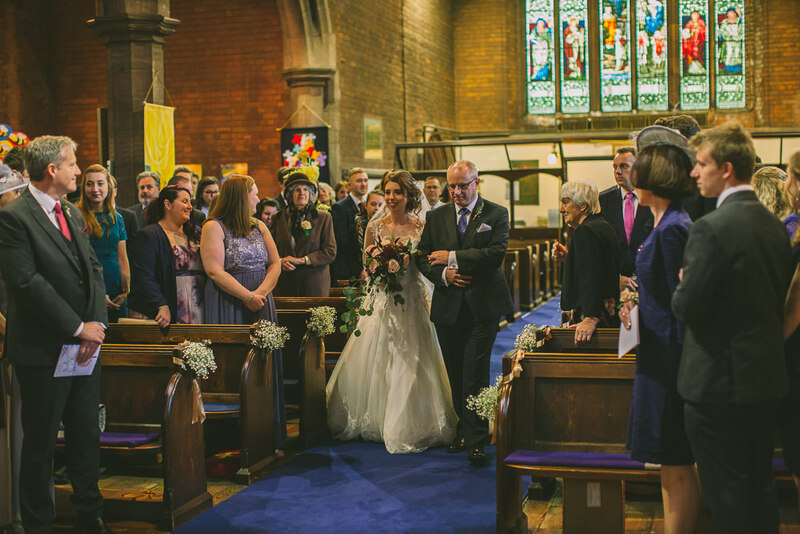 Looking back, my favourite part of the day was walking down the aisle at the church and saying our vows. 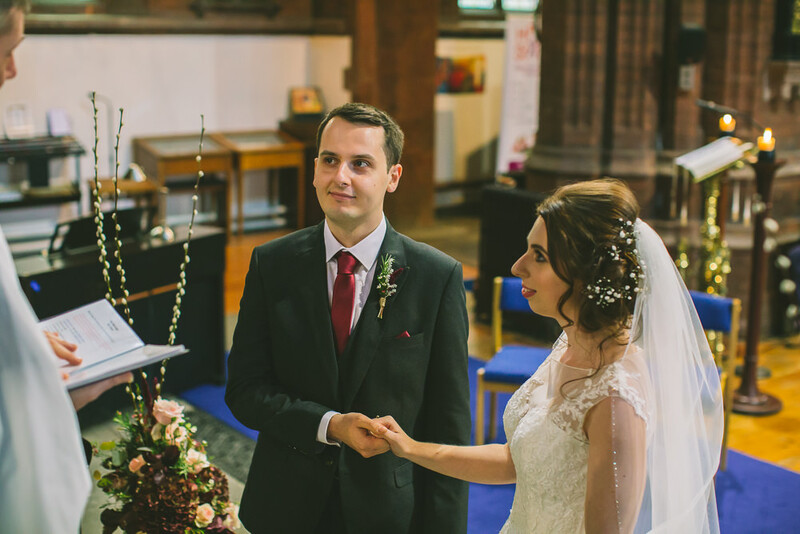 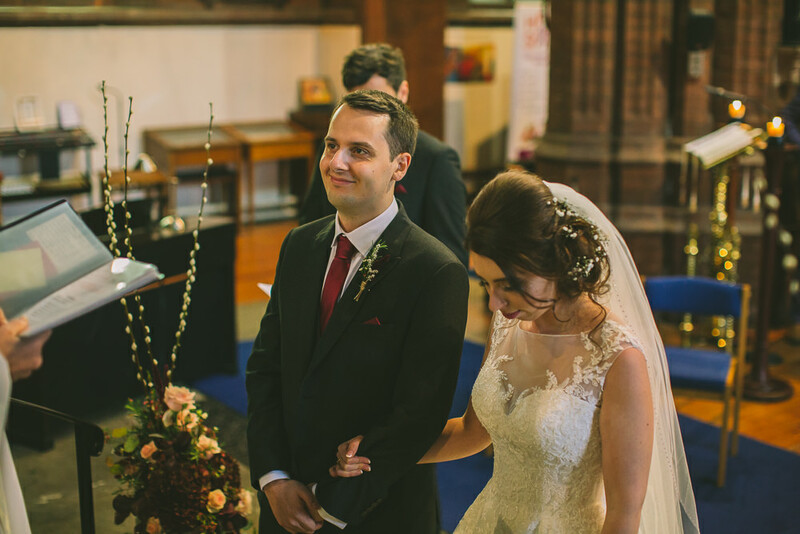 I was so nervous waiting in the foyer of the church as our entrance music started but as soon as I started walking and saw Paul, I immediately felt so happy and calm. Being able to say our vows in front of all our friends and family is something I’ll never forget! 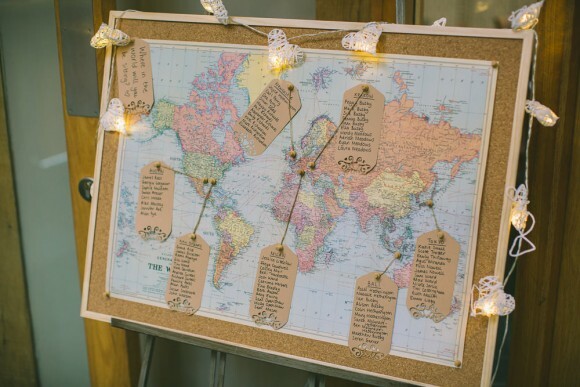 We love to travel so planning the honeymoon was a big part of the wedding package for us and, instead of wedding gifts, we mainly asked for money towards trips through Honeyfund. 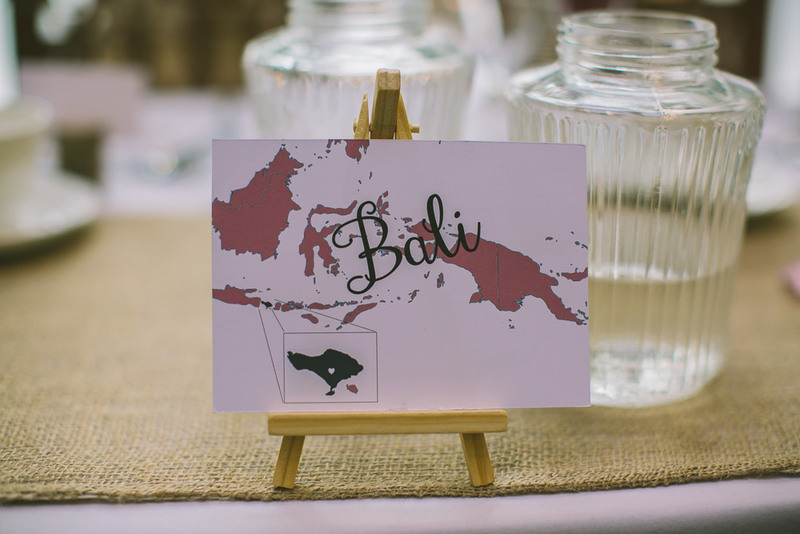 We took a trip around South East Asia, with a week relaxing in Bali, a wildlife tour around Borneo, a week exploring various parts of Vietnam and ended with a quick visit to Cambodia to see Angkor Wat. 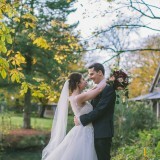 It was the perfect way to unwind after so much time wedding planning. 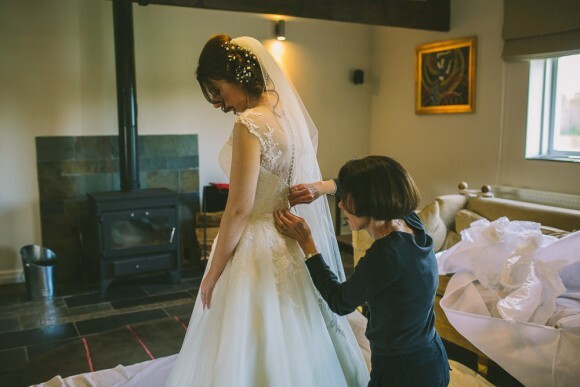 My top tip to other Brides Up North would be don’t stress and enjoy the whole planning experience, but obviously that’s easier said than done! 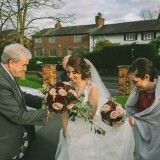 What really helped us was that, living in Manchester, we just assumed it would rain all day so planned for that and when it turned out to be sunny it was a lovely surprise rather than being disappointed by the weather. 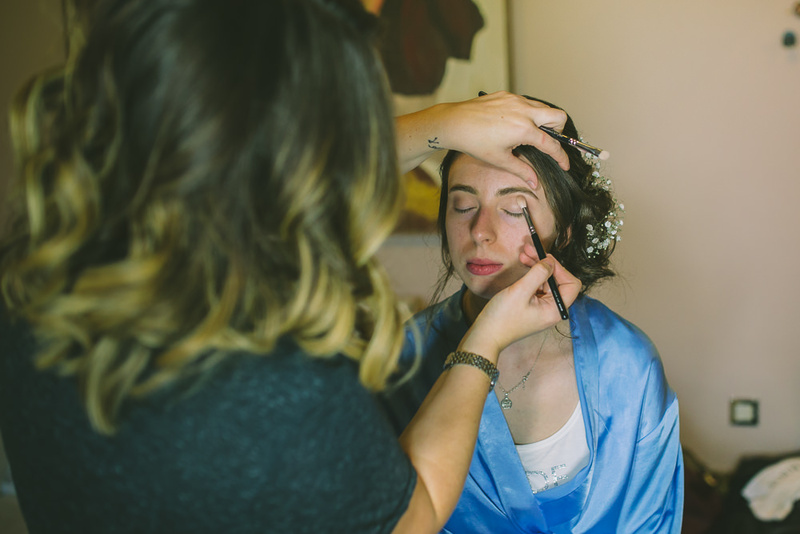 Also, take time to step back and just spend some time doing something other than wedding planning. 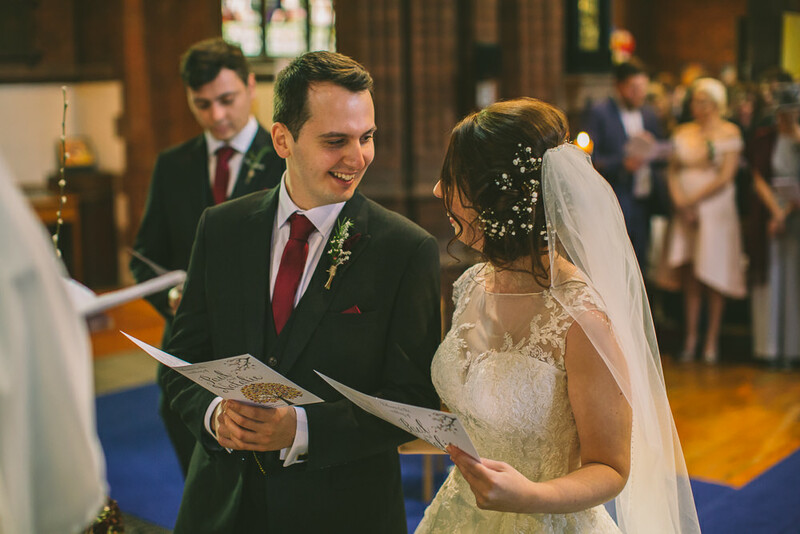 It really helped us to remember that the reason for the day is the marriage rather than getting every single little detail perfect. 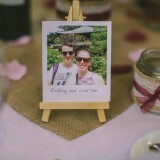 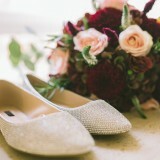 While planning our wedding we also loved using the real weddings on the Brides Up North blog as inspiration. 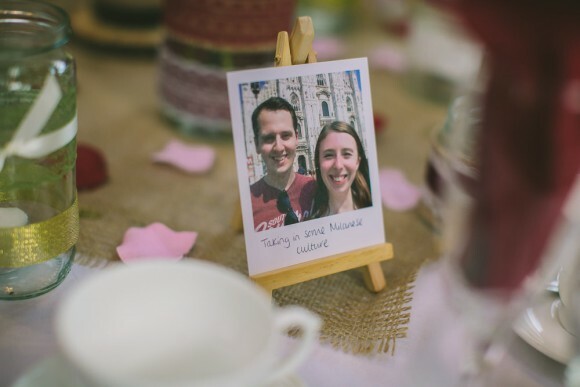 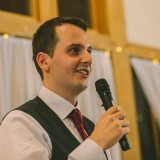 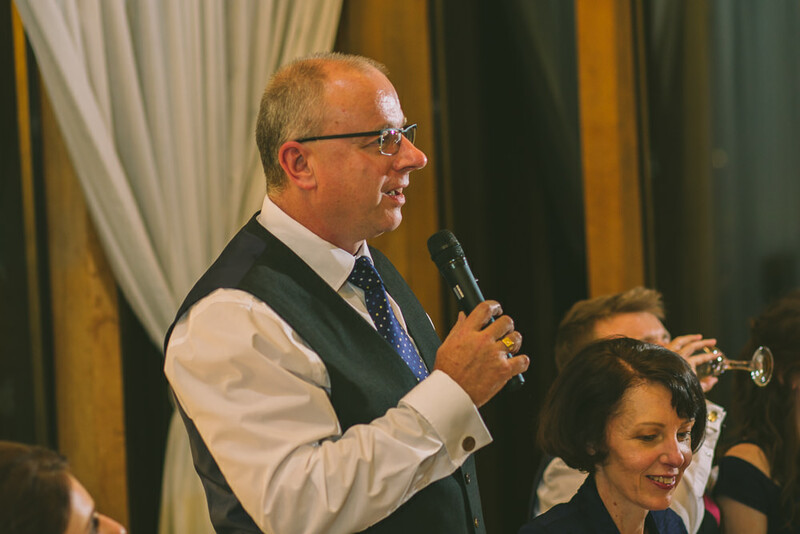 Having been to hardly any weddings before our own, it was great to read what other people had done to give us ideas for ours!